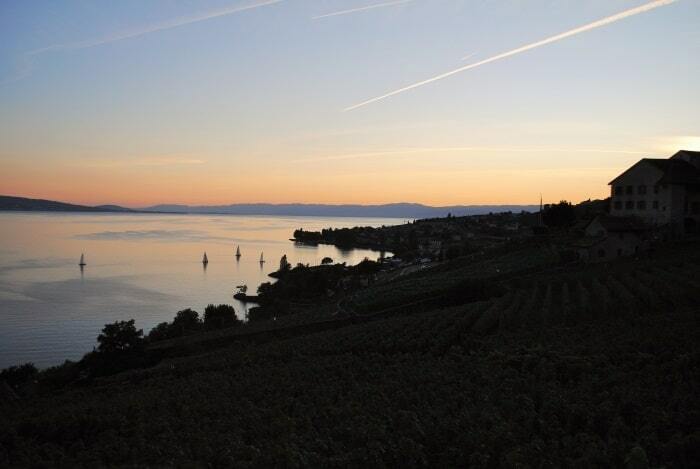 If you want to spend time in what could easily be regarded as the most beautiful place in the world, where glaciers, mountains and adventure awaits, but you can equally relax by a lake, explore an alpine village or have lunch in a vineyard, then Switzerland is the country for you. 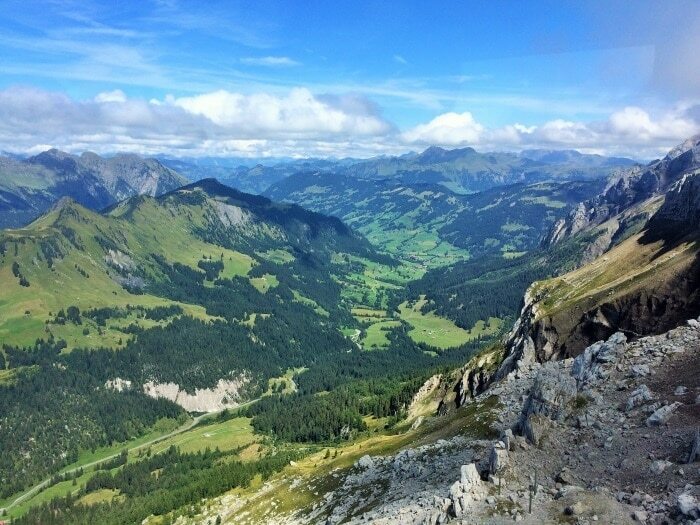 I am going to put it out there straight away, Switzerland is my favourite country in the world and I feel like I have seen enough of the world to confidently say that. It just has everything I am looking for, and I have always been more of a lake and mountain kind of person, rather than a beach and pool. 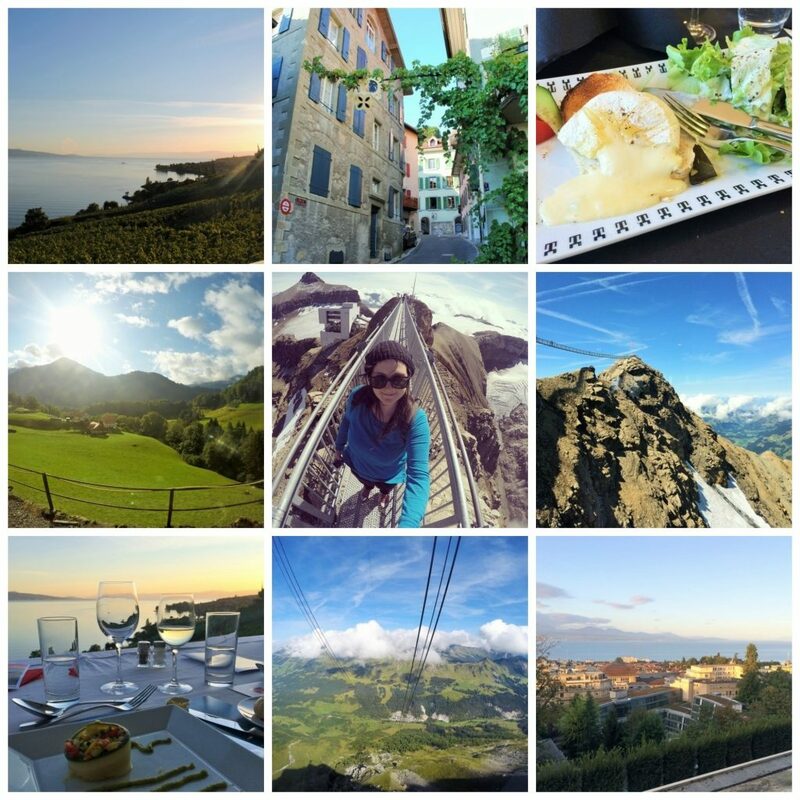 Last year, I was invited to explore Switzerland with the Swiss Tourism board, along with about 100 other journalists as part of an international press trip. 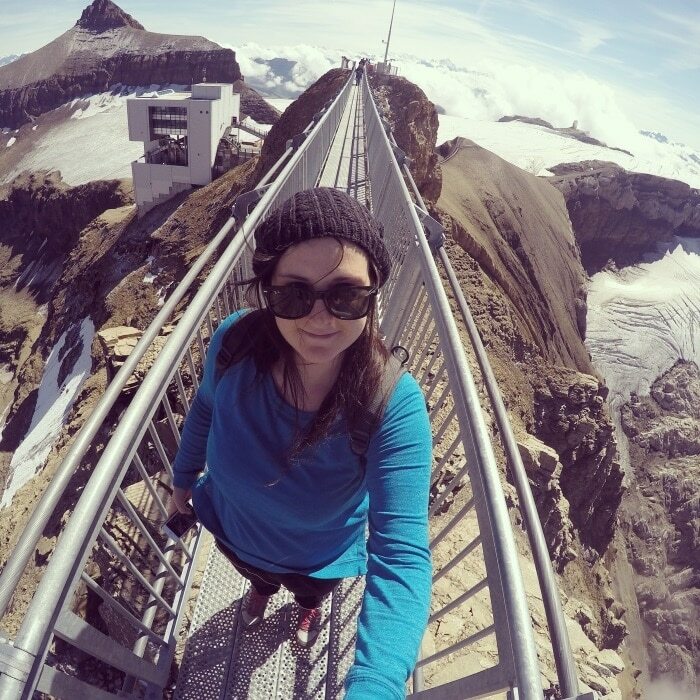 The idea was to see the best that Switzerland has to offer in one trip, and get an insight in to the Switzerland Grand Tour. 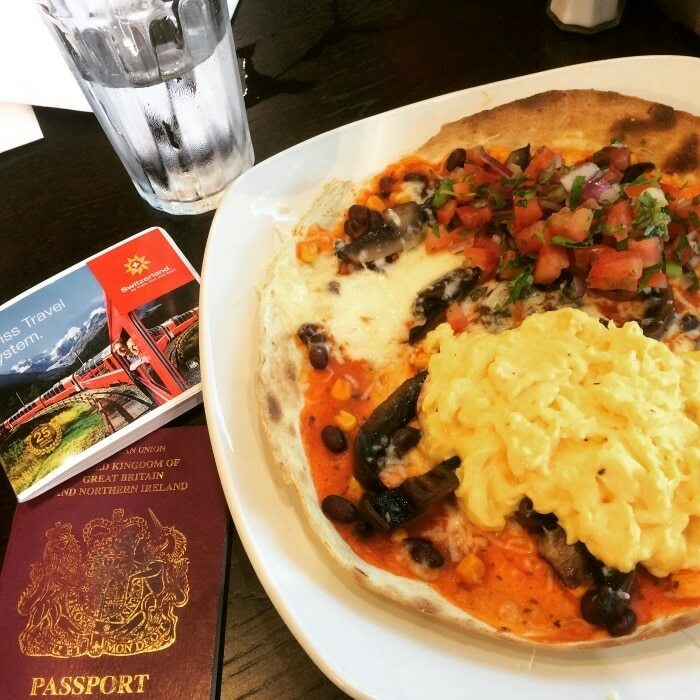 Like all of my trips abroad, it started with a Giraffe breakfast at the airport and this time I went for the huevos rancheros. They had run out of avocado, again, but I was headed to Switzerland, so I didn’t have much to complain about. I flew in to Zurich airport with Swiss Airlines, as that is where everyone was meeting. 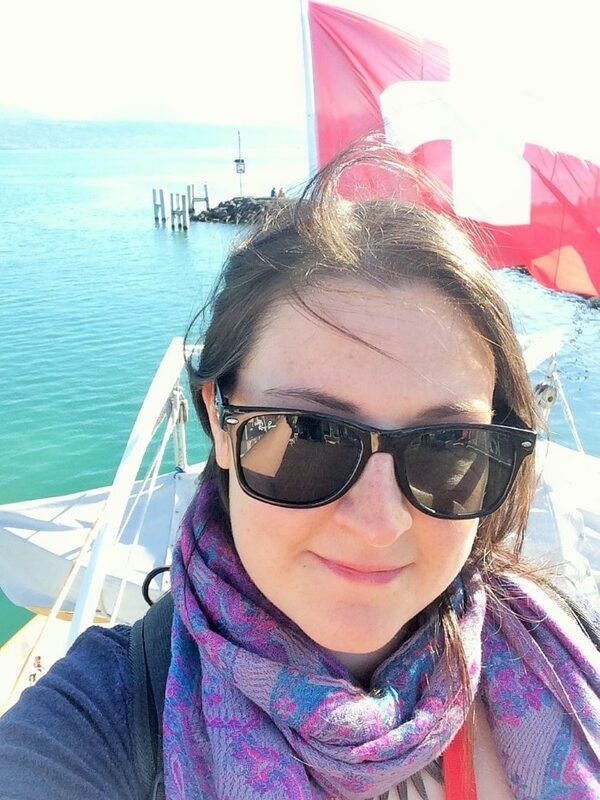 Sadly we didn’t get to spend any time in Zurich, and it’s a city that I really want to explore as I am a big fan of cities on a canal, but it just means that I have even more reason to go back to Switzerland very soon. 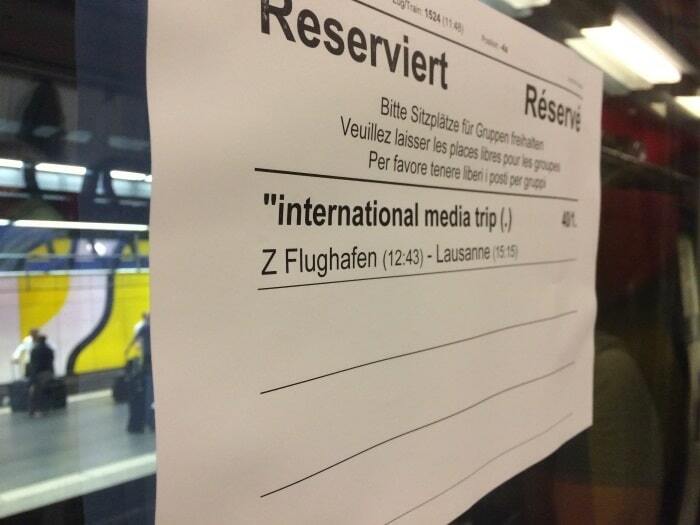 We boarded the train headed to Lausanne and we had a first class carriage reserved just for us on the media trip. 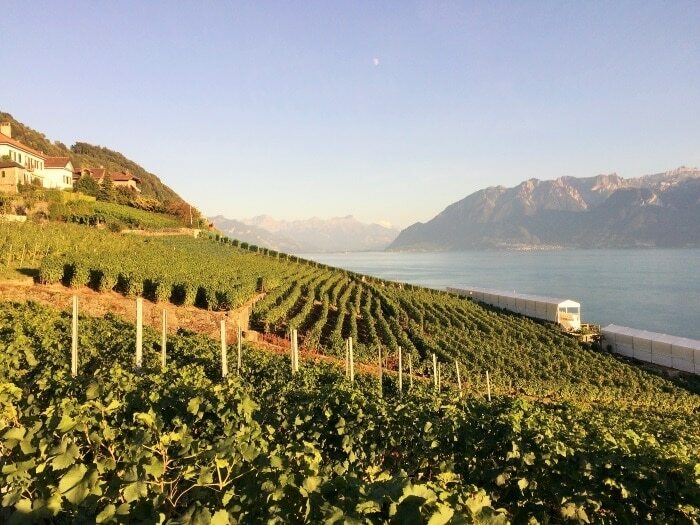 I am going to talk more about the Swiss rail network in my second post, but it is honestly the best in the world, but then everything is better than the British rail network. Lunch was provided for everyone, but they had run out of veggie options, so I had managed to quickly dash in to a shop in the airport and pick something up. 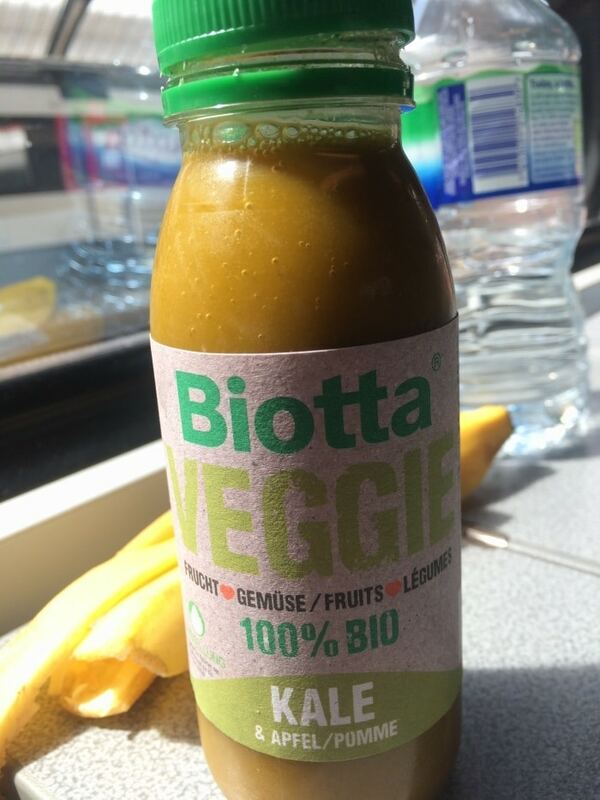 With Switzerland being the land of cheese and chocolate, I knew that the next few days were going to be indulgent, so I went with a green juice and a banana. 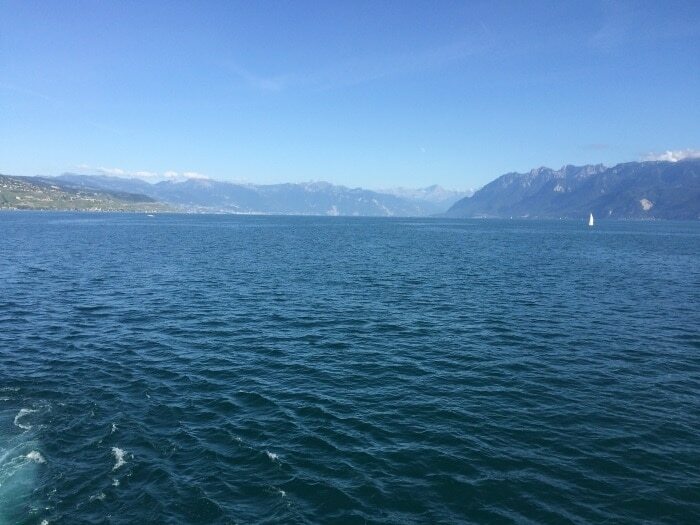 After a 2 hour train journey from Zurich to Lausanne, much of which the train hugged the water and gave us a nice view across Lake Geneva, we arrived at the train station and were given our itinerary for the next few days and directions to our hotel. 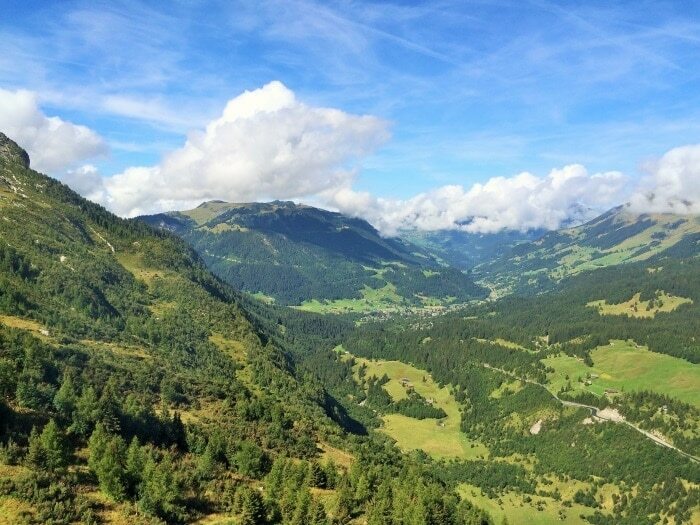 I have to give credit to the Swiss Tourist Board for their organisational skills. 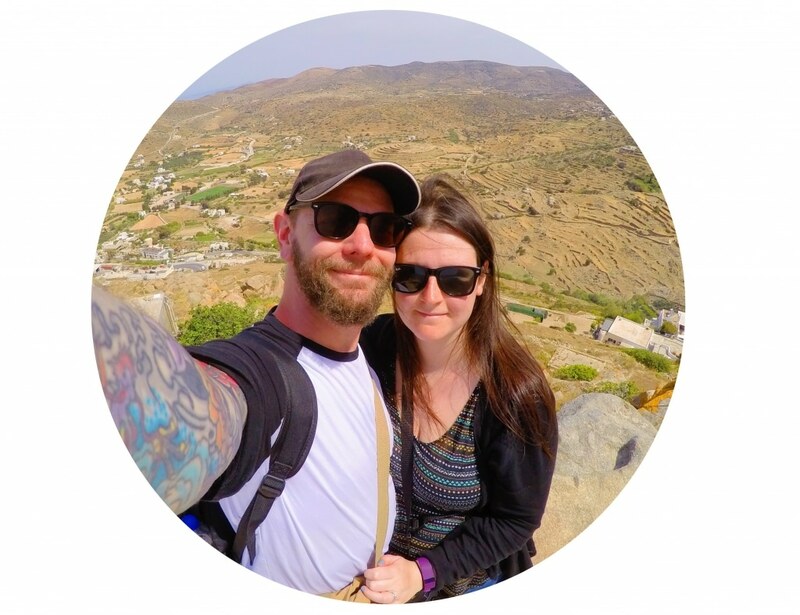 Everything ran perfectly smooth, as you would expect from the Swiss, and having over 100 people from all over the world arrive over the space of 2 days, all with different itineraries and staying at different hotels, everything went to plan. 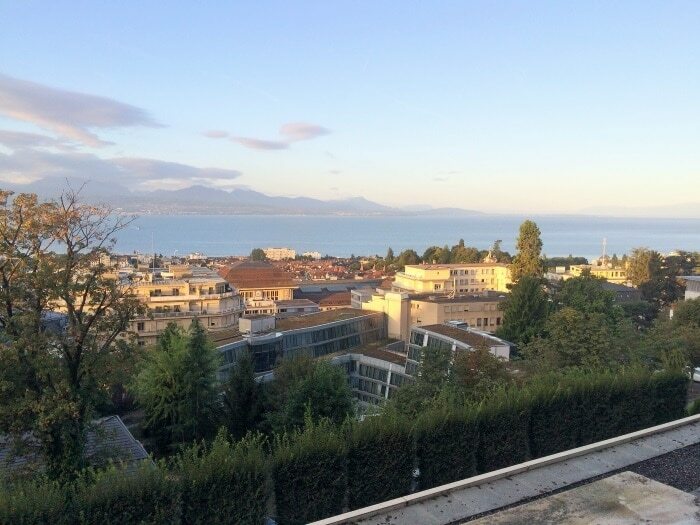 I was staying in the 5* Lausanne Palace and Spa, which is one of the top rated hotels in Lausanne and it certainly didn’t disappoint. 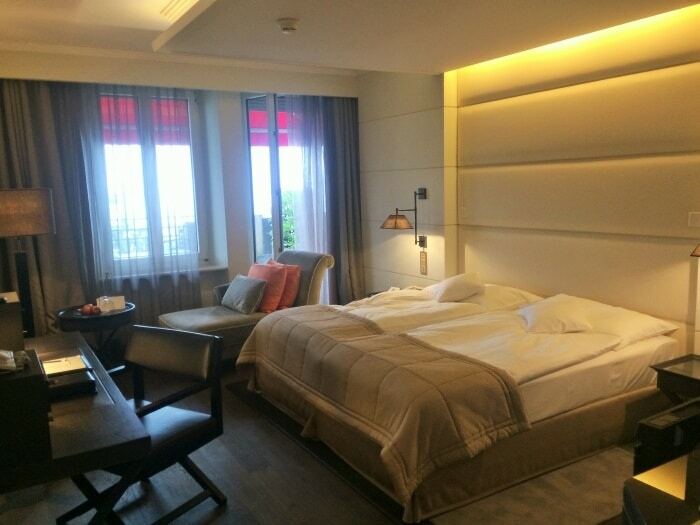 Clean, crisp and bright rooms in a central location with excellent customer service. Sadly I didn’t have time to use the spa facilities, but other people in my group did and they had nothing but good things to say about it. 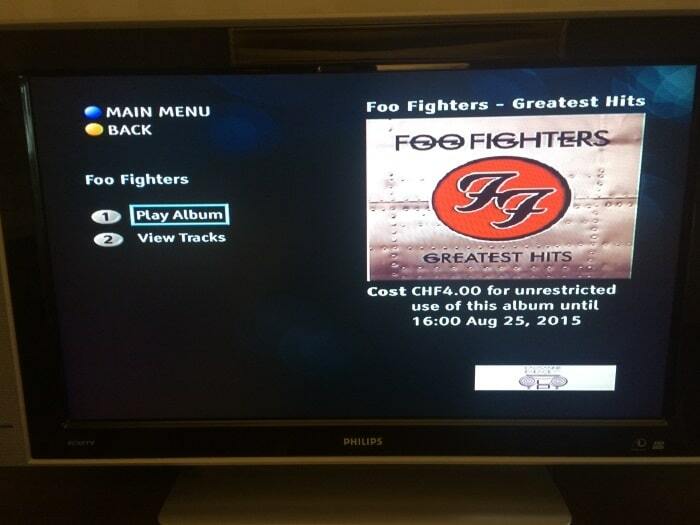 When you can listen to the Foo Fighters album through the TV, that is always a good start for me. We only had about an hour to settle in to the hotel, before we had to meet for the first event on our itinerary – a trip to the Olympic Museum. 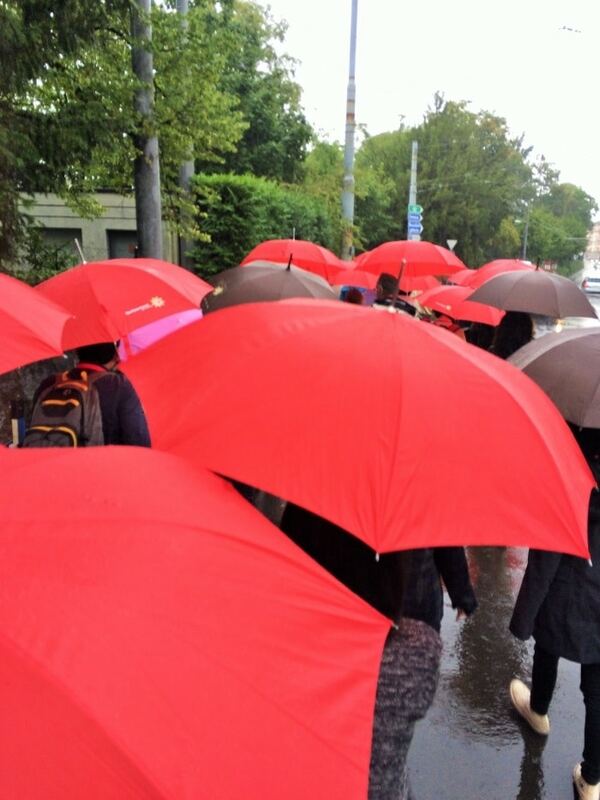 Even though there was a large group of us, and we didn’t know where we were going, it was hard to lose anyone in the group with us all having these bright red umbrellas. Sadly it was a very grey and wet evening, so a night in a museum was very much welcomed. 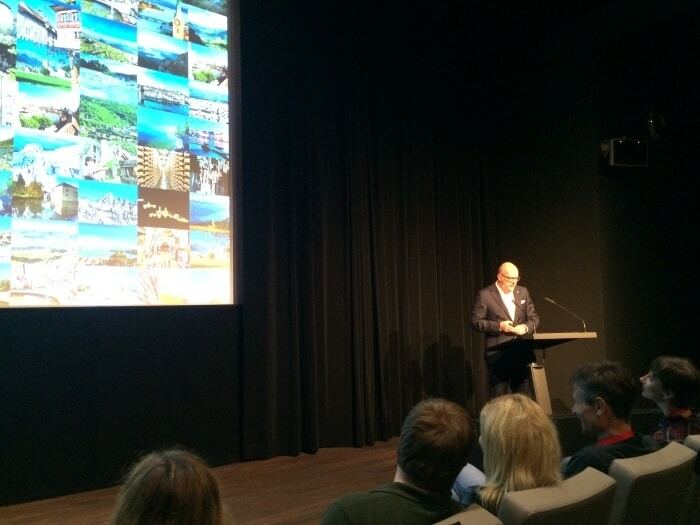 Before we got to explore the museum, we settled down for a press conference from the Swiss Tourism Board to tell us all about the Grand Tour of Switzerland. 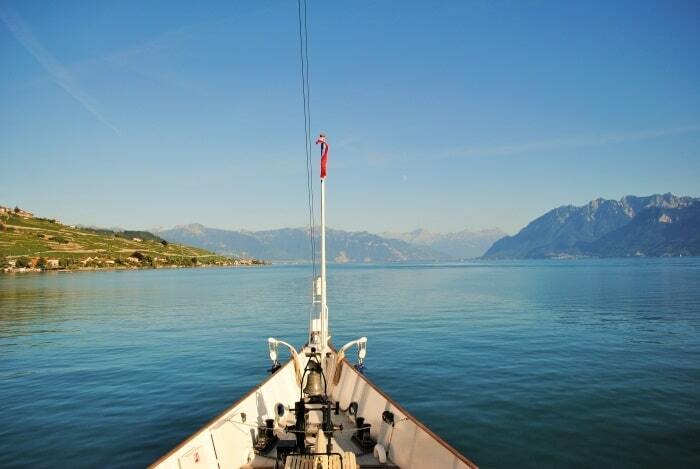 The Grand Tour of Switzerland combines the highlights of Switzerland with a beautifully scenic route. Motorways on the Grand Tour are chiefly avoided and only taken when it makes traffic-sense. We were going to be sampling parts of the Grand Tour to get an idea on what is on offer. However, I would love to go back and do the whole tour one day, as there is just so much to see. 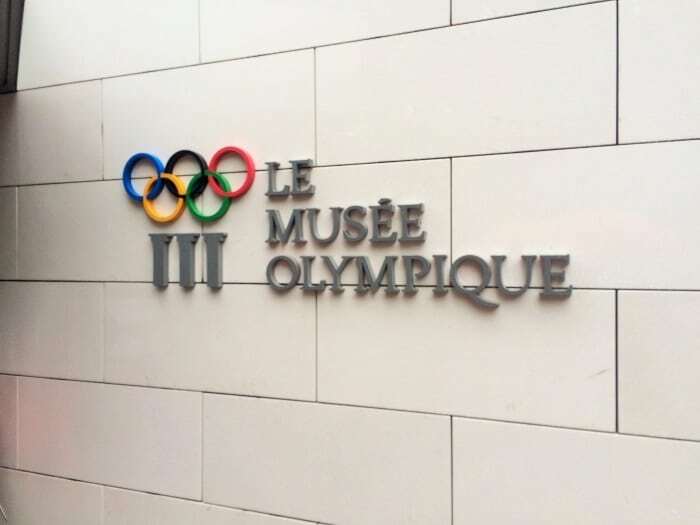 I am not sure what I was expecting from the Olympic Museum, but I definitely wasn’t expecting to enjoy it as much as I did. 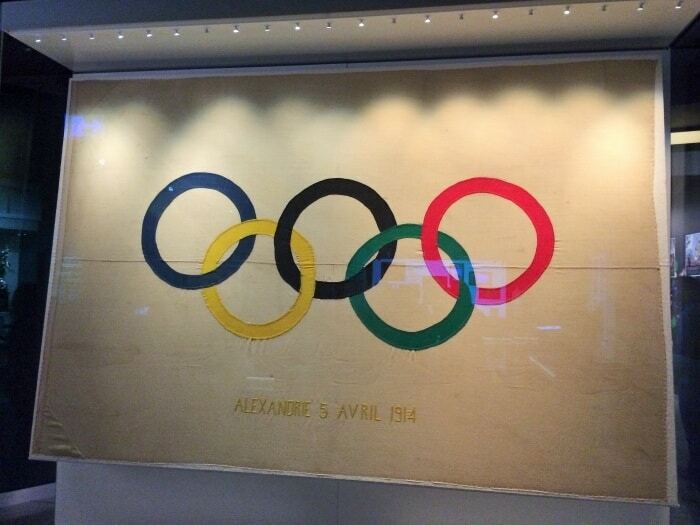 The museum houses permanent and temporary exhibits that relate to everything to do with the Olympics. 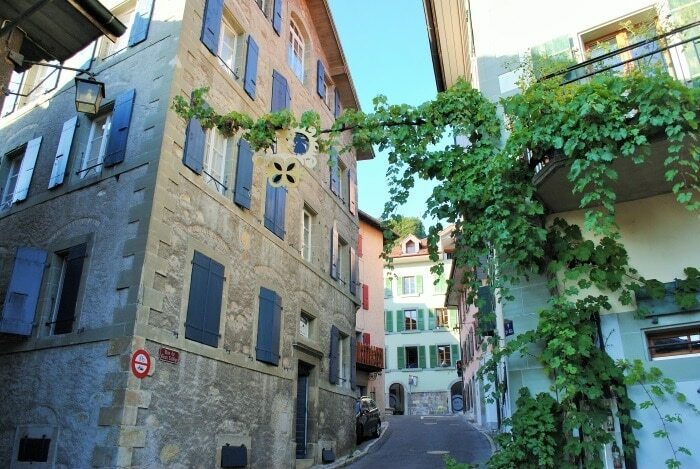 With over 250,000 visitors a year, it is one of Lausanne’s main tourist attractions. 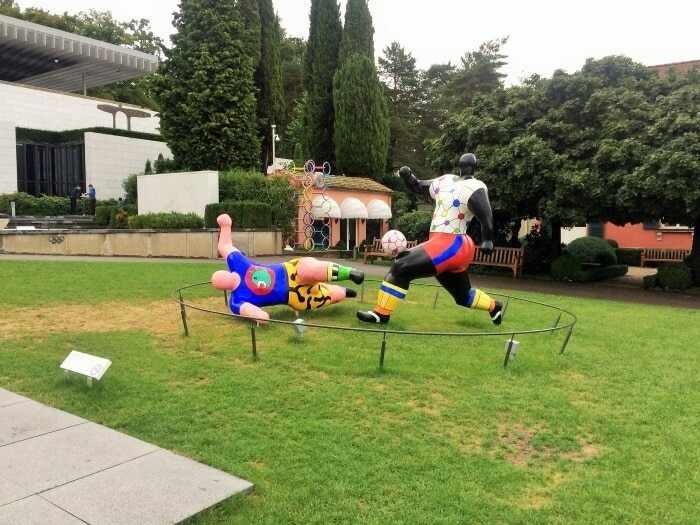 As well as the museum, there is the Olympic park too, which is full of different sculptures and various play areas that will really appeal to families. There were lots of kids around that were enjoying running along the Olympic track. To be honest, I really only got in to the Olympics in 2012 when it was hosted in London and before that I had not really paid much attention to it. But, in 2012 I really got in to it and I watched it religiously and I discovered a love of so many new sports. 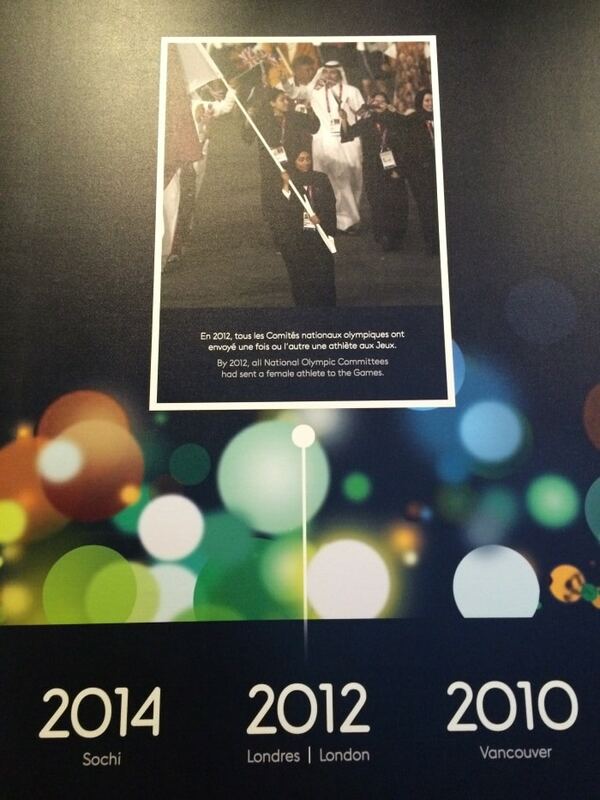 In the museum, I was actually really surprised that is wasn’t until 2012 that all Olympic national committees had sent a female athlete to the games. Better late than never I guess. 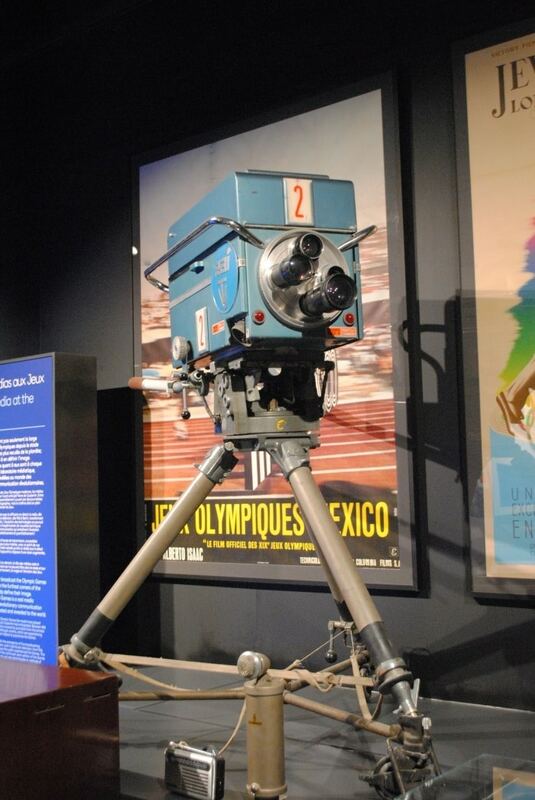 The whole basis of the museum was that it showed you the Olympic games throughout the years, showing how everything has changed. For the history, in terms of women at the games, to how all the team uniforms have changed, and how the torches have changed too. 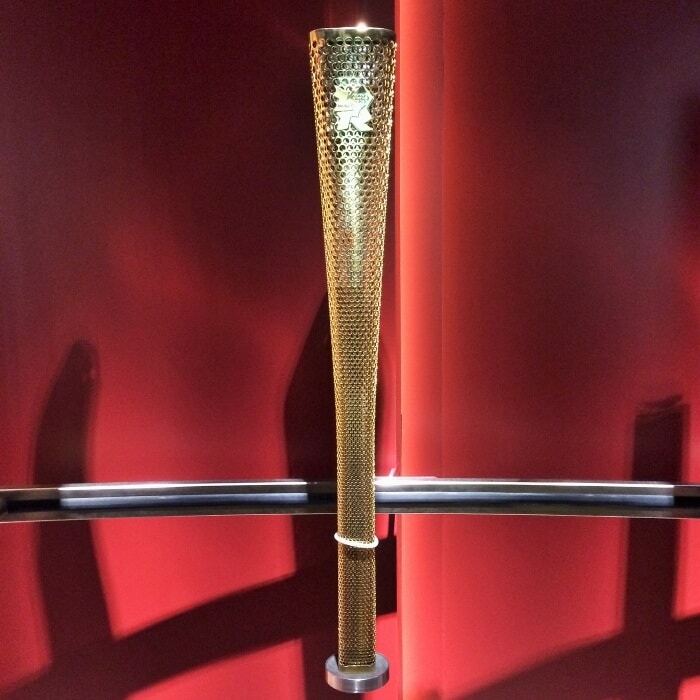 This was the torch from the 2012 games, which was actually carried through my home town. There was a whole section dedicated to media and I was fascinated at how the cameras and news broadcasts have changed over the years. Look at the size of this camera. After a self-guided tour around the museum, there was a cocktail and canapé party where we got to sample some of the local wine. There was a really nice sweet wine that I tried and really enjoyed, but I can’t remember the same. I thought I wrote it down, but it seems not. Too much wine I guess! There wasn’t much food options for non meat eaters (although, I was eating fish then), but the meat eaters were treated to a feast that included mini burgers. I just filled up on these little cheese and veggie cups, and wine of course. 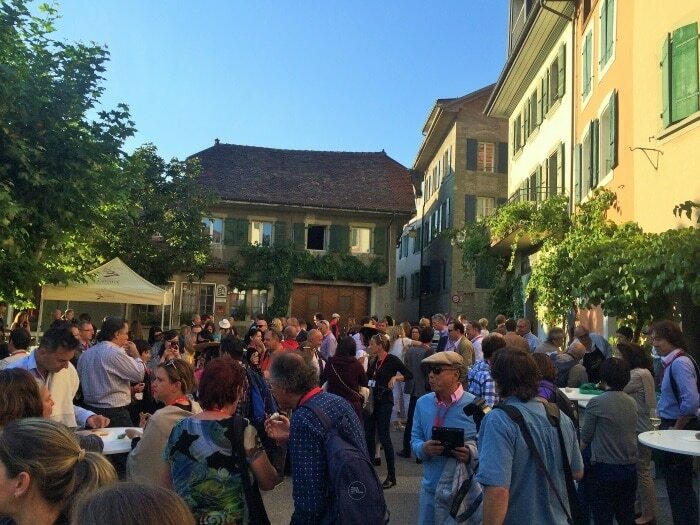 It was a great opportunity to meet other journalists from around the world – people had travelled from New Zealand, Korea and Brazil, all just for a few days to discover Switzerland. 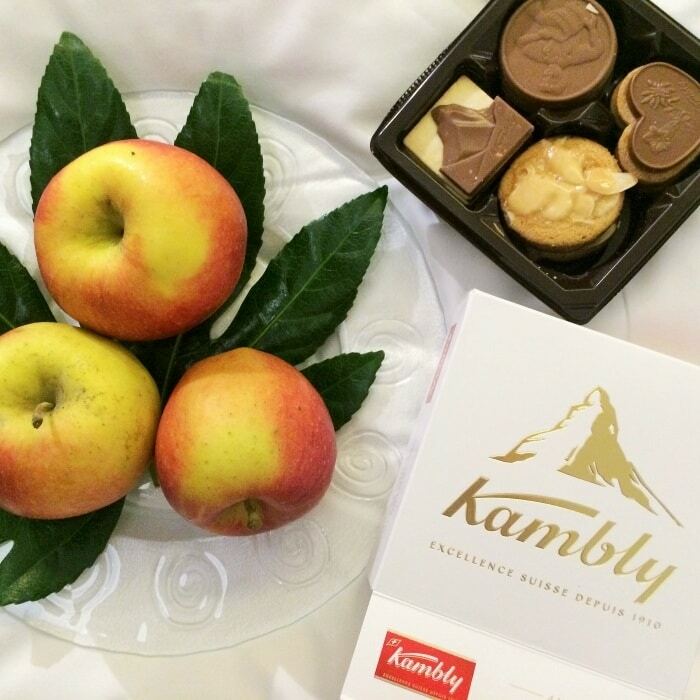 But fear not, because when I got back to my hotel that evening there was a box of Swiss chocolates and a bowl of apples waiting for me. I am easily pleased and a long bath and some chocolates were the perfect end to a lovely evening. 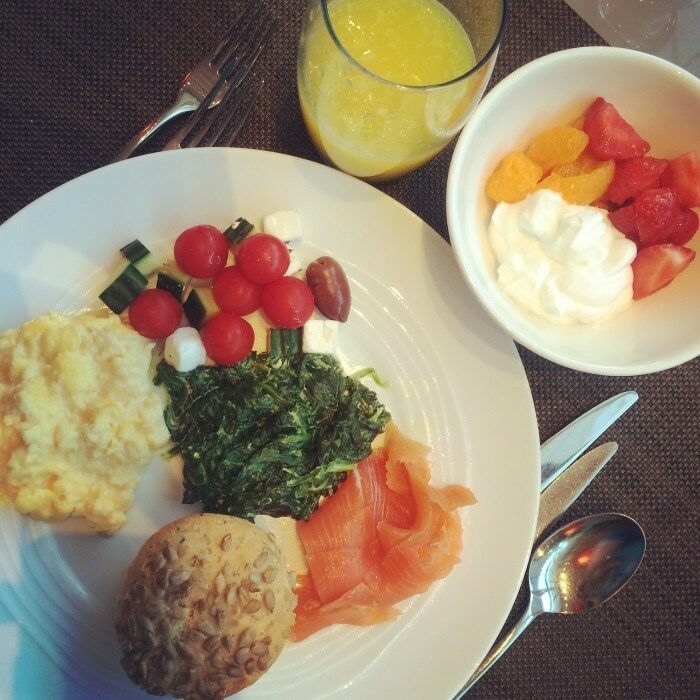 After a quick early morning run around the streets on Lausanne, I went to check out the breakfast buffet. I must admit, I do judge a hotel on the quality of their breakfast buffet and this definitely goes in the top 10. 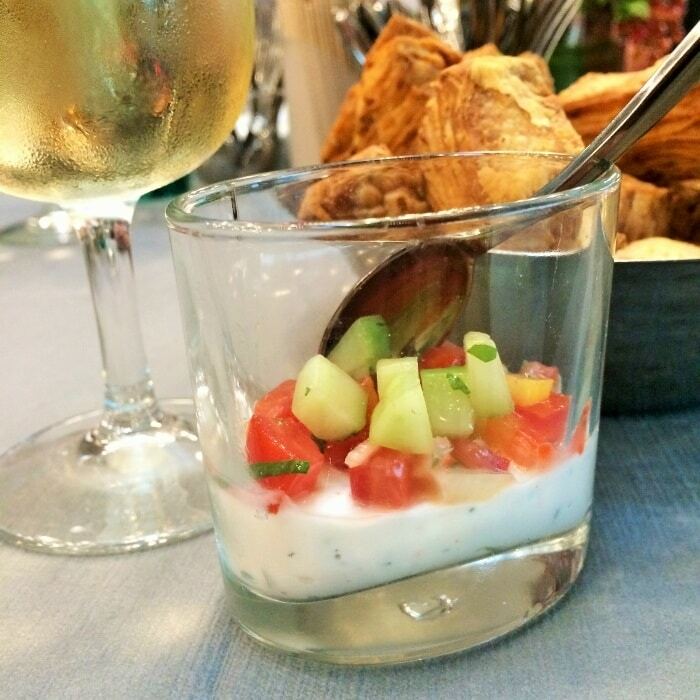 Greek salad at breakfast? Yes please! 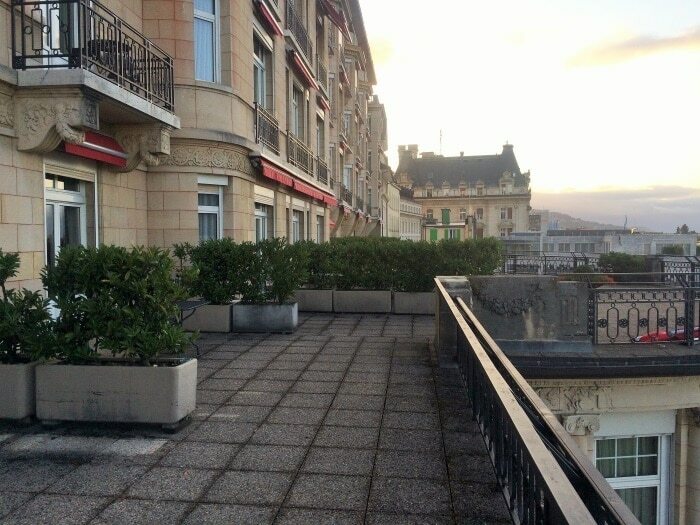 The best part of my room at the Lausanne Palace and Spa was the terrace outside my room and the views over Lake Geneva. I think I have the best view in the hotel and this would have been the perfect spot for some yoga if I had time. We all split in to our separate groups for the days itinerary. 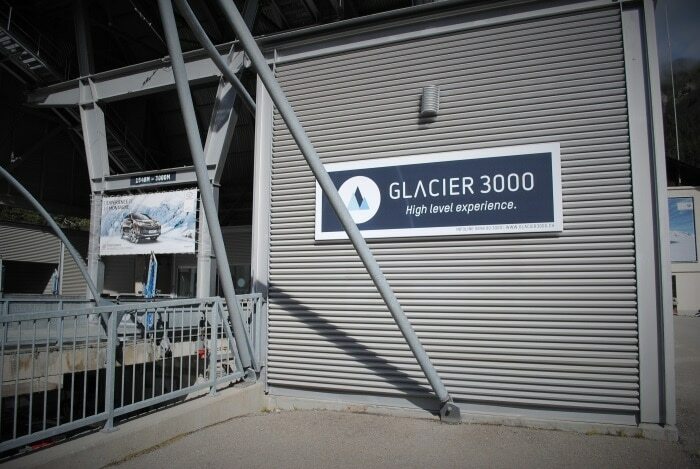 Having more of a focus on active/adventure tourism, I opted for a adrenaline thrills trip to Glacier 3000. The journey started by boarding a train on the Golden Pass Line. 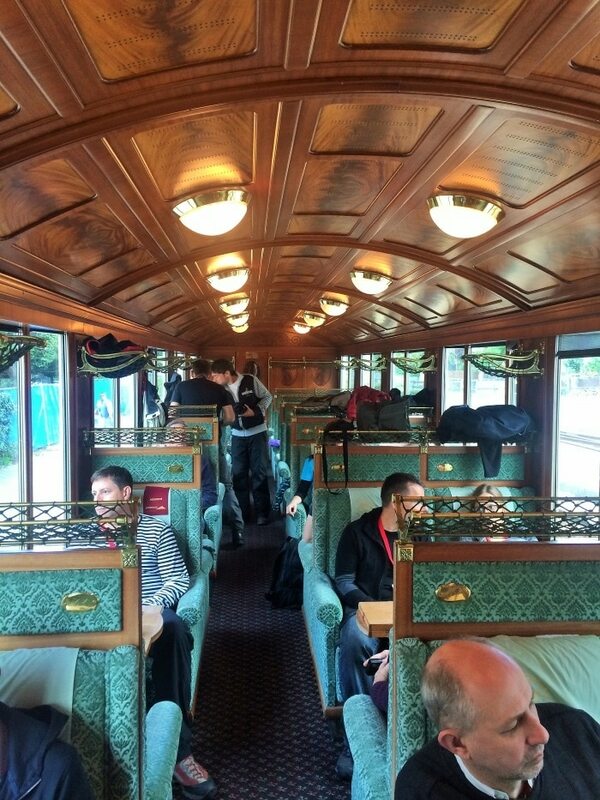 It was like stepping back in time in to an ornate train carriage that whisked you through the Swiss valleys and up in to the mountains. The train journey gave me an opportunity to get a bit of work done and thankfully I wasn’t without WiFi as I had my Tep Wireless device with me. The Tep Wireless allows you to travel abroad without any data roaming, as it is a mobile wireless device. It’s really small and light and easy to carry around. In terms of views, this has to be the best views from any train journey I have ever been on. 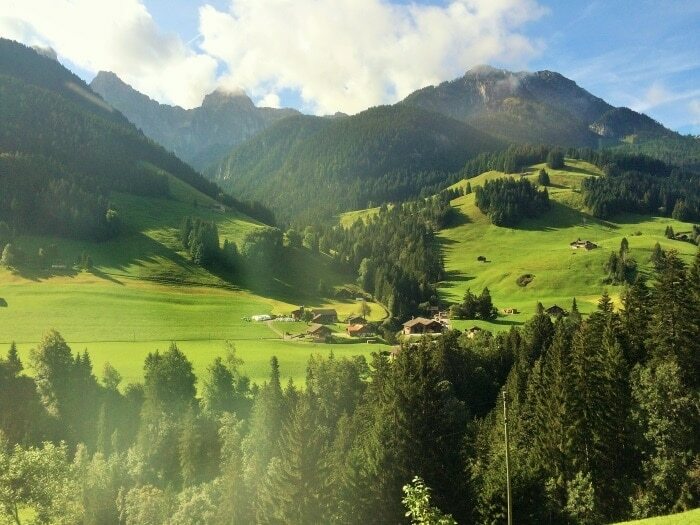 Bright green fields backed by rolling hills and snow capped mountains and little alpine villages dotted around. 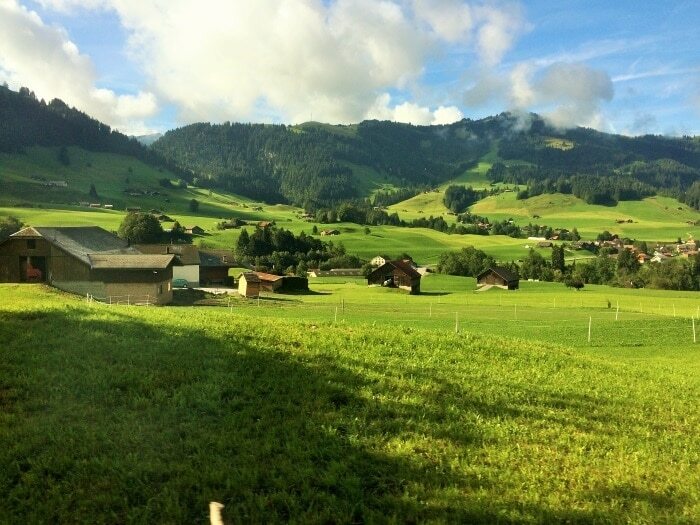 We got off the train at Saanen, where a minibus met us to take us the rest of the way. 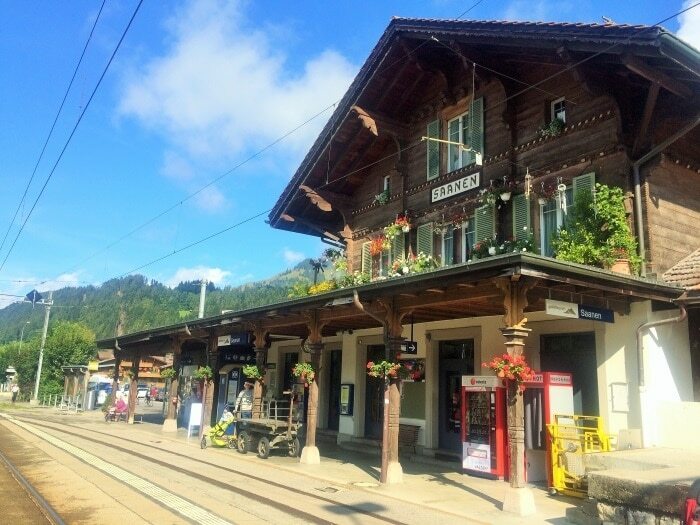 Even the train stations in Switzerland are pretty. Litter is nowhere to be seen and window boxes of flowers cover the building. Stepping off the train the first thing you notice is how fresh and clean the air is – it makes the air we have back home feel like breathing mud. 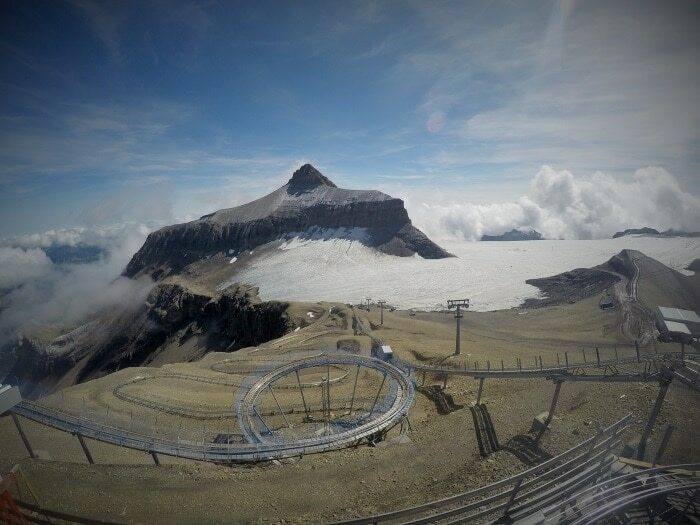 We travelled to the cable car station of Glacier 3000. 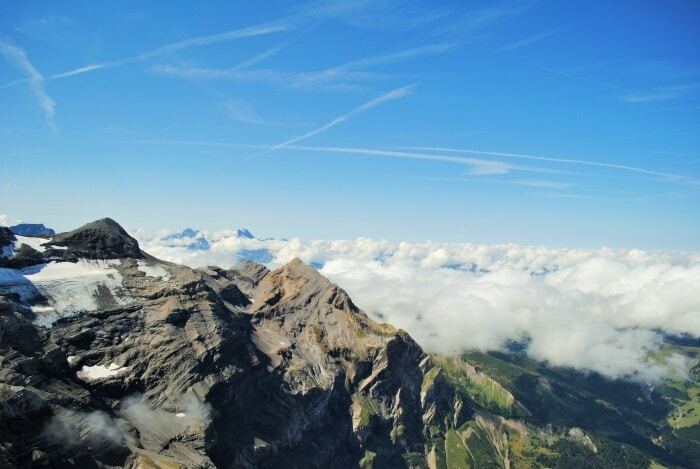 Located at an altitude of 3,000 m, the Diablerets “Glacier 3000” is the highest point in Canton Vaud, hosting winter sports from October to May. 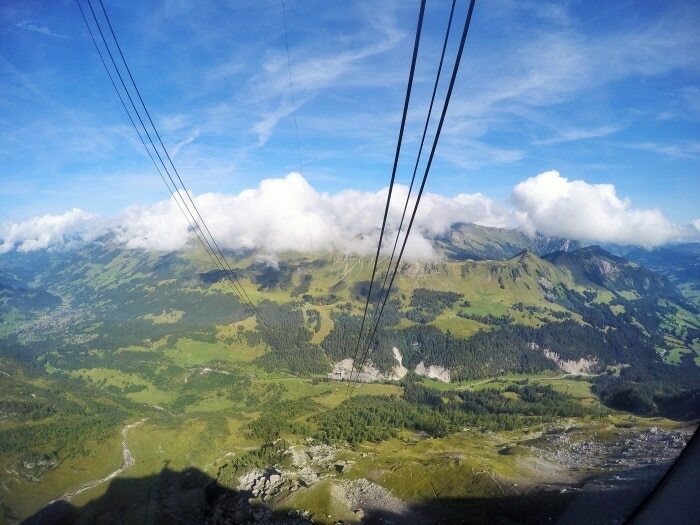 The journey up to the glacier in the cable car was incredible – panoramic views as we headed above the clouds and stomach churning drops below up. 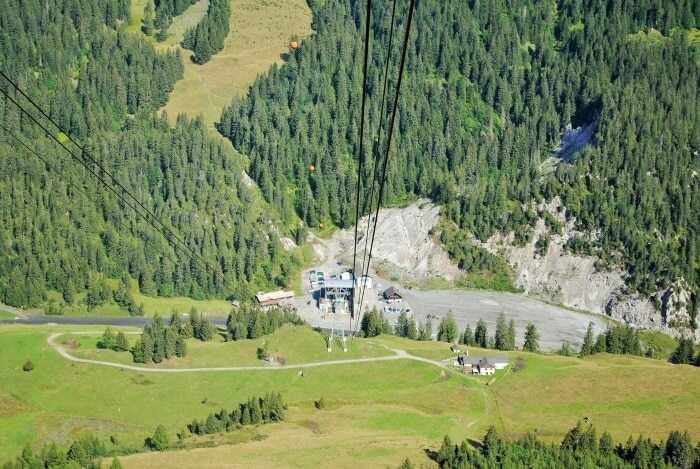 As soon as you get out of the cable car at the top, you are are greeted with the sight of the Alpine Coaster, a toboggan run that is open from May until October to provide summer fun. This was seriously fun! I have to admit, I was a little scared before I went on it, as I didn’t know how fast it was going to be. But, knowing that I controlled the speed and that I could go really slow if I wanted to put my mind at ease. Within about 2 seconds of being on it, I wanted to go as fast as possible and the top speed without the break on still wasn’t enough for me. Who knew that I was a little dare devil?! 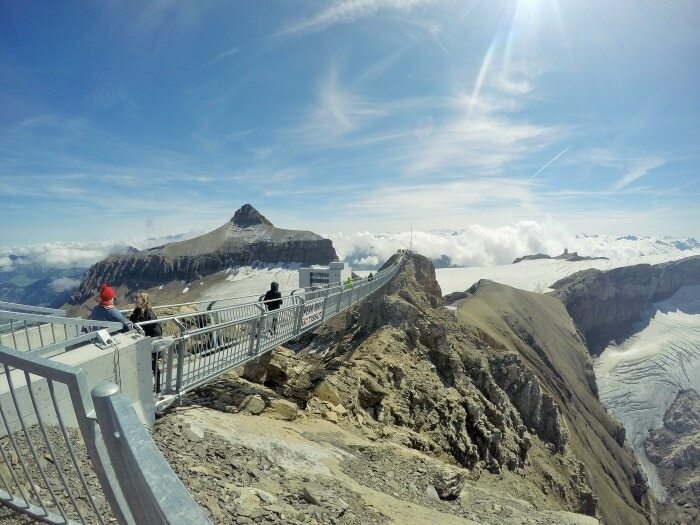 The main highlight of Glacier 3000 is the Peak Walk by Tissot. 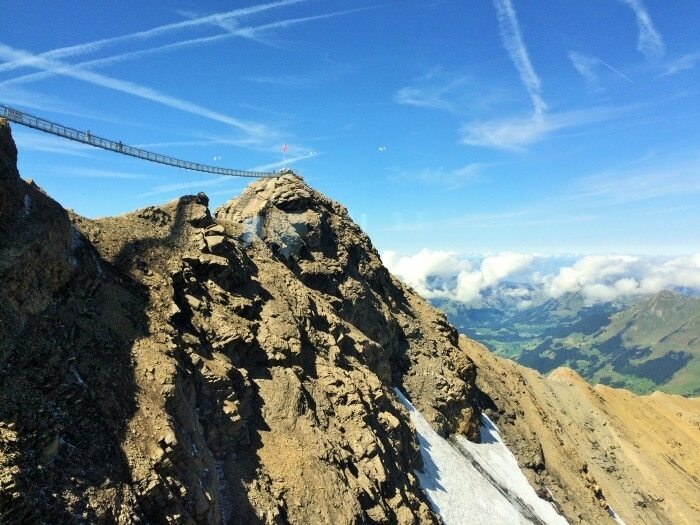 “There is only one suspension bridge in the world that connects two mountain peaks. 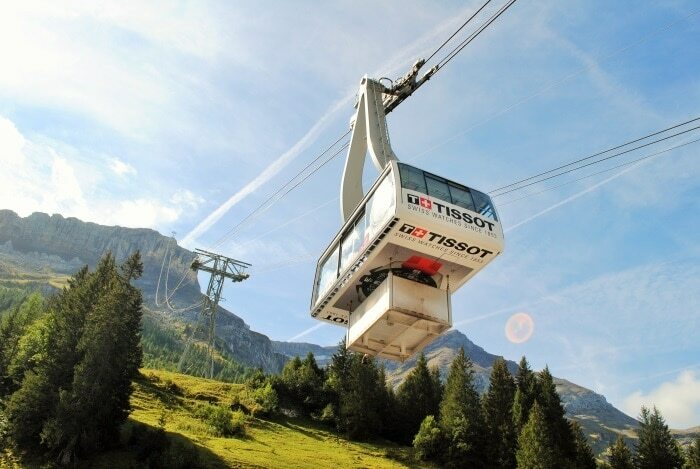 It is called Peak Walk by Tissot. It can be found at Glacier 3000. And it invites you to an adventure that you will not easily forget. I got to walk between two mountain peaks, which is such an incredible feeling. It can be a bit slow crossing the bridge, as many people are understandably a bit cautious about crossing and there is a lot of photos being taken (I was probably the worst for that), but there is no need to rush across, because the views are just stunning. I literally felt like I was on the top of the world. 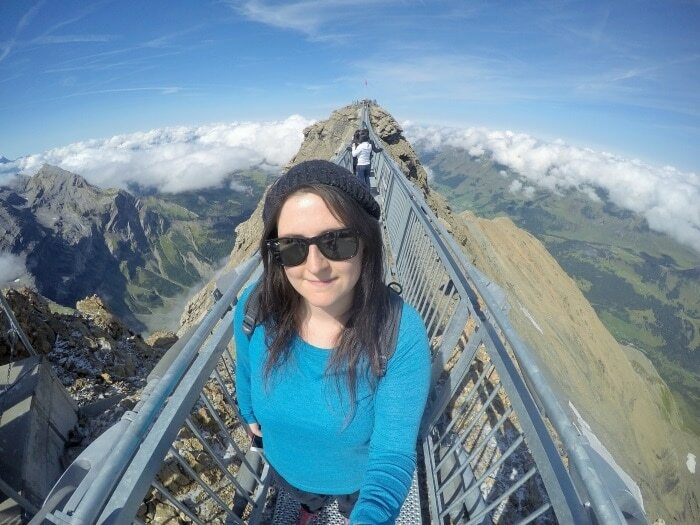 Luckily, thanks to my Tep Wirless device, I was able to share the experience with you all as I was live streaming on Periscope from the top. I had WiFi on top of the mountain, how awesome is that? 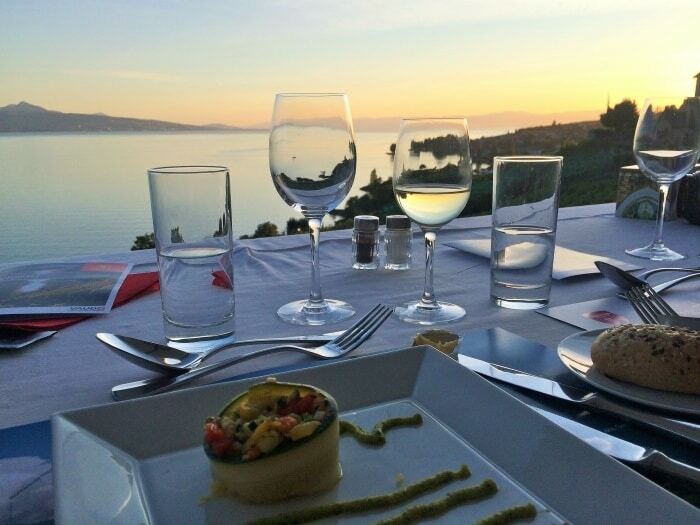 After exploring the suspension bridge, we enjoyed some fine dining at the Botta panoramic restaurant, which had views of the bridge we had just crossed. It gave us a bit of a better view of just how amazing the bridge is. 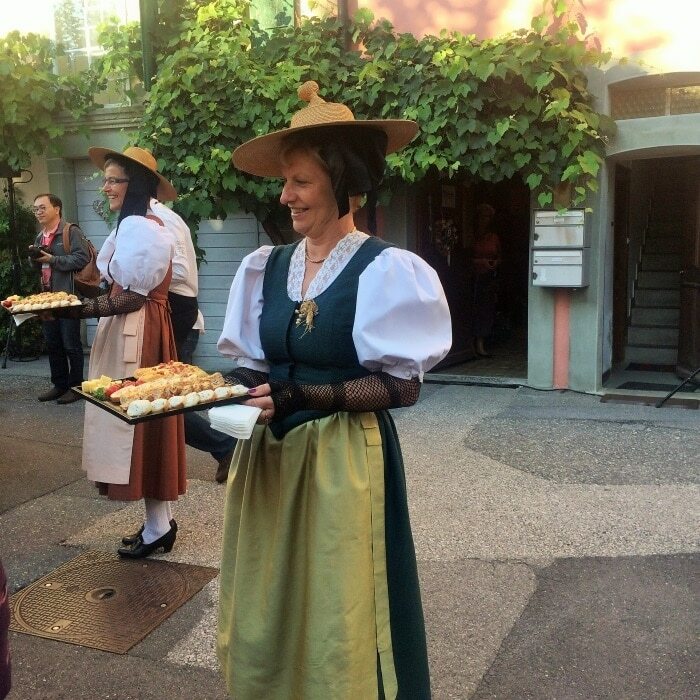 In true Swiss style, lunch was a round of baked cheese followed by some blueberry cake and of course the wine was flowing. It wasn’t exactly a light lunch and not the ideal thing to have before getting a cable car back down a mountain, but it was delicious. 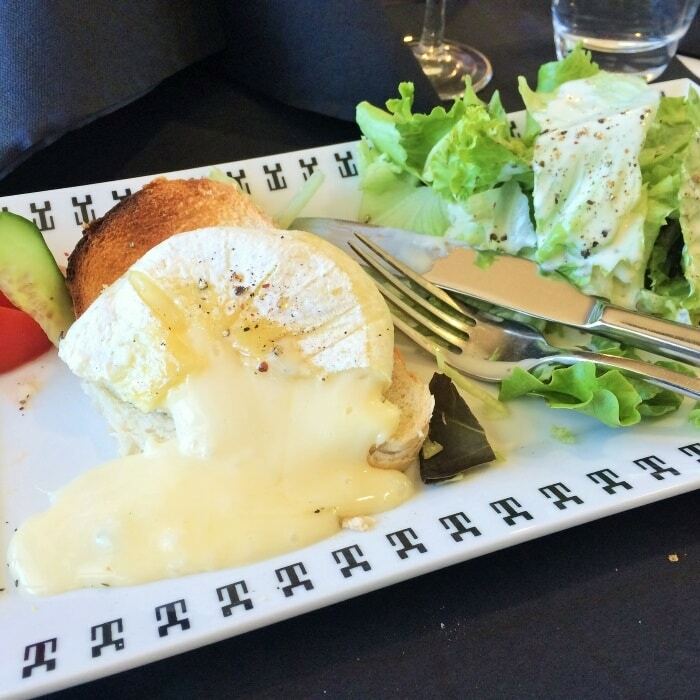 The cheese was very rich and full of flavour, not like the baked cheese you usually get in restaurants in the UK. We headed back down through the clouds to take one last look of the panoramic views, something I could never get board of looking at. 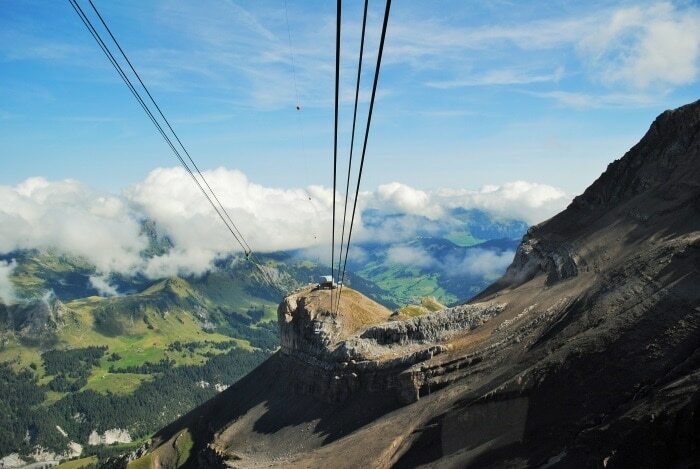 I envy the people that work at the top of the mountain, as this is their commute to work every day. Can we just take a moment to appreciate this genius bit of engineering? 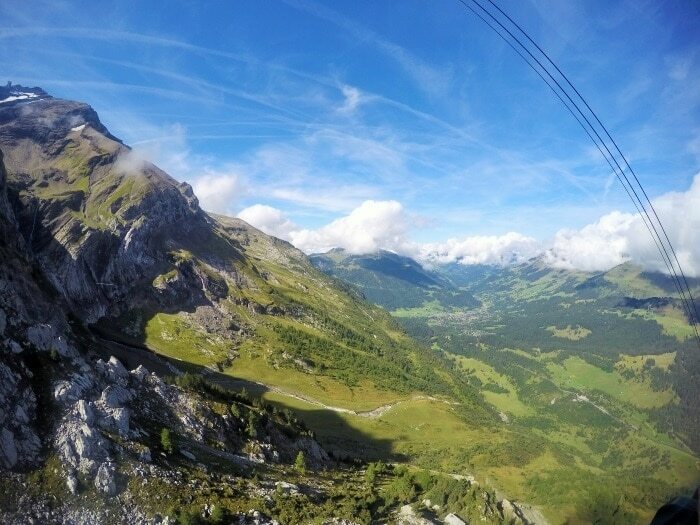 Getting cable cars safely up and down the mountain every day is something we should very much appreciate. 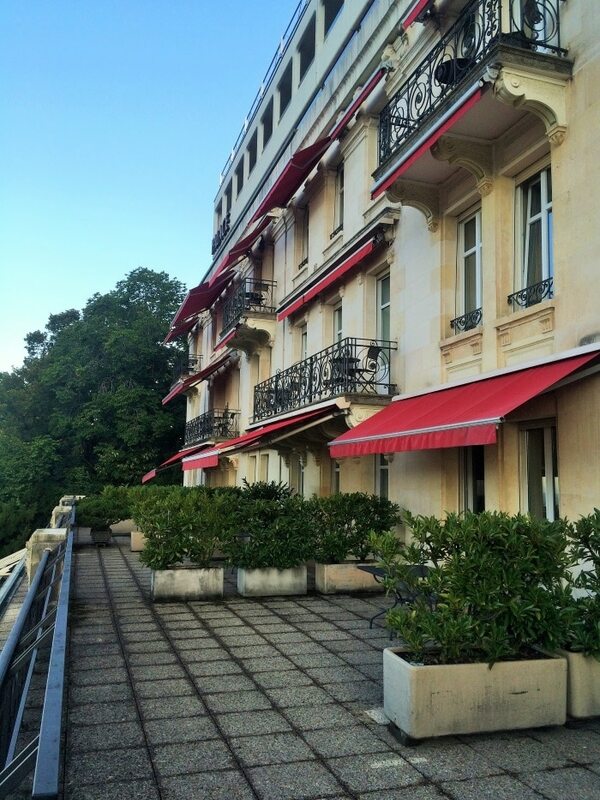 I have to admit, I was ready for a very early night by the time we got back to the hotel mid-afternoon. Being at the top of the mountain with all that fresh air makes you very sleepy. But we had a full evening on the itinerary too, but at least it was a little more relaxed that during the day and didn’t include any more cable cars up a mountain. 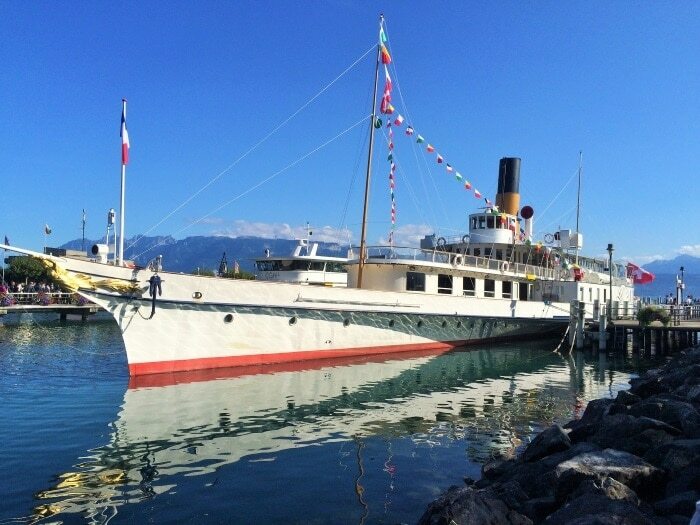 All our itinerary told us was to meet down at the harbour to board a boat for a cruise around Lake Geneva, and then dinner at a mystery location. 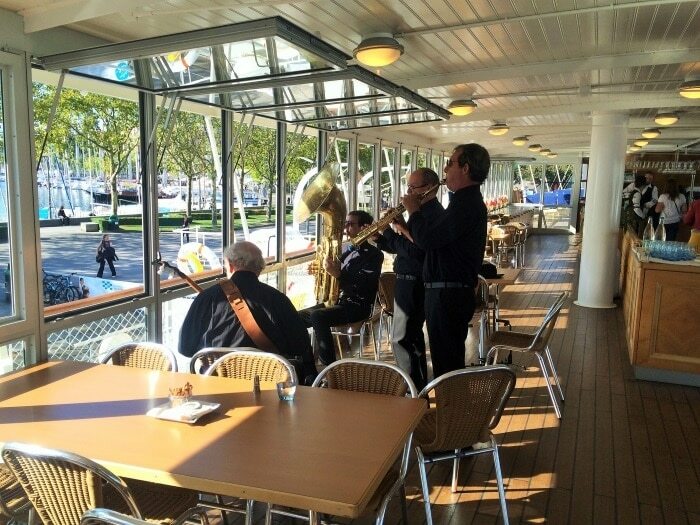 I kind of thought we might be having dinner on the boat, which would have been a nice and relaxing evening, but there was something much more exciting planned for us. 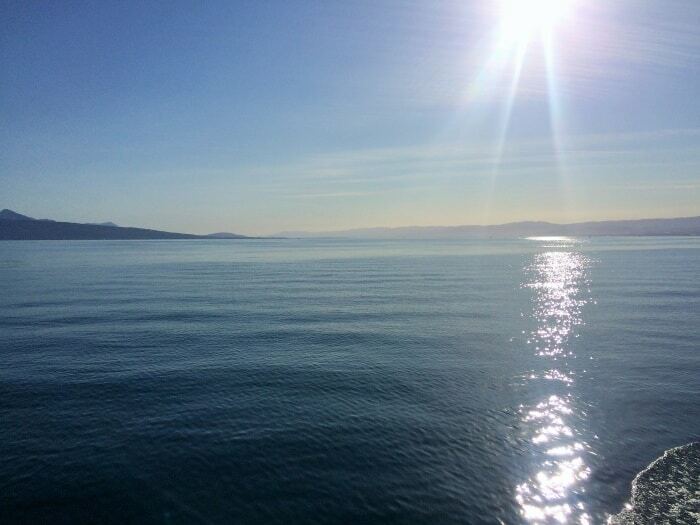 Compared to the weather that we had the previous day, this was a glorious evening. 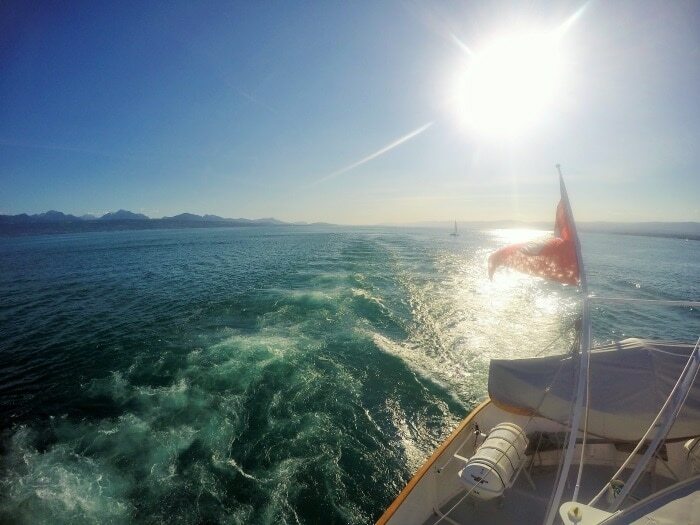 Even at 5pm with the sun beginning to set, it was still beating down on us as we sat up on deck with a glass of wine. 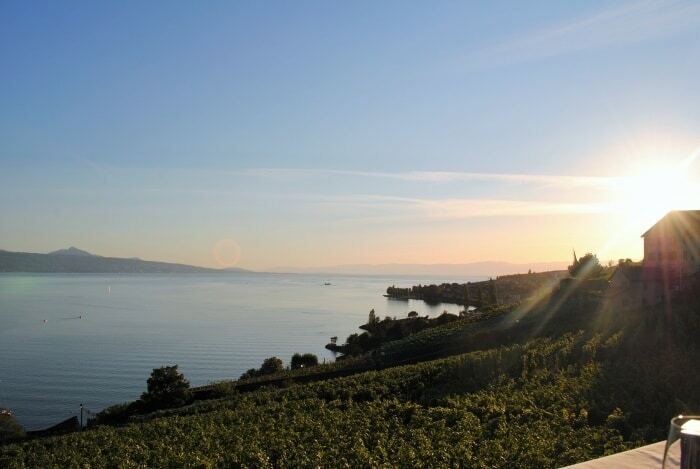 If you look over to the other side of Lake Geneva, it is the French town of Evian, where the water comes from. For a minute, I thought we might have been going there for dinner. 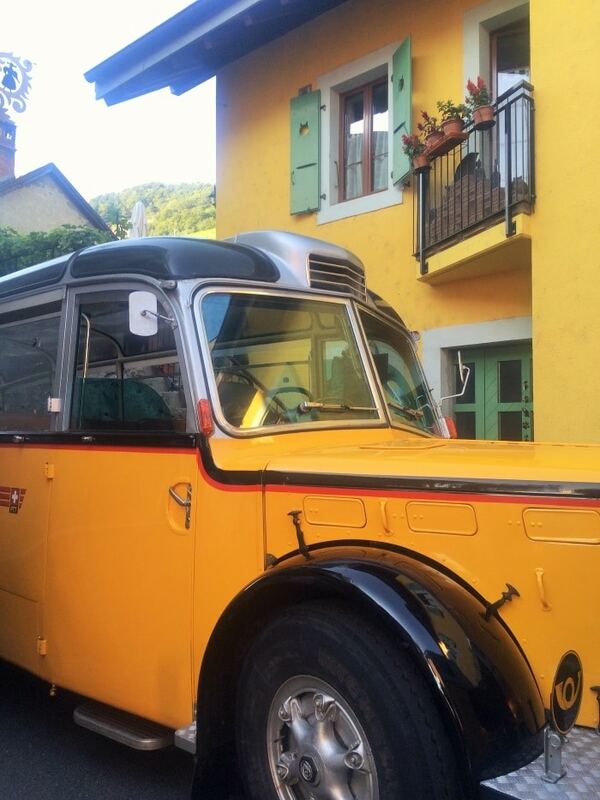 We got off the boat to be greeted by these really old school style buses and a few coaches. 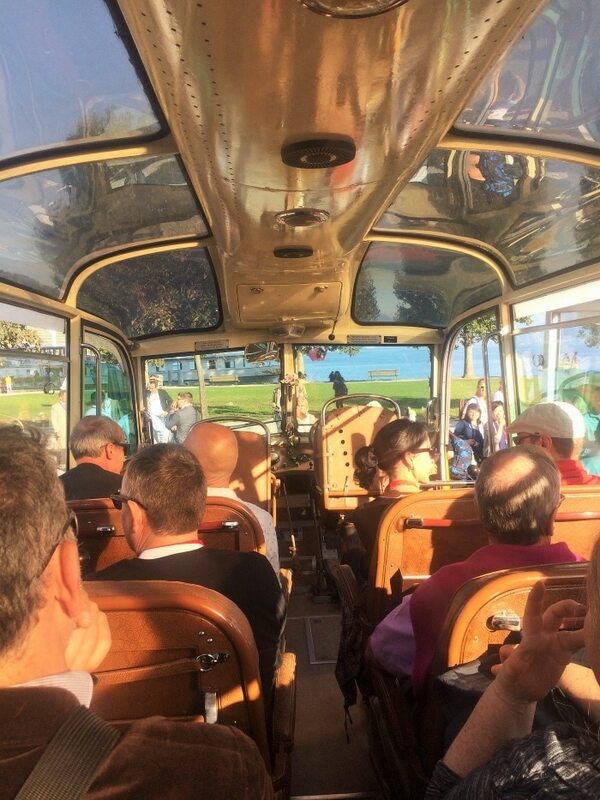 Naturally, everyone fought over getting a seat on the vintage bus, and I managed to snag myself a seat. Not a bad way to travel! We had a short bus journey to the small town of Epesses, where we were greeted by wine and canapés served by ladies in traditional outfits. Now, where can I get myself on of these? It was a beautiful summer evening in the town square, surrounding by colourful town houses and the smell of fresh flowers around us. I thought this was the surprise for the evening, and everyone seemed really happy with that, but then we were told to follow someone down in between the houses. 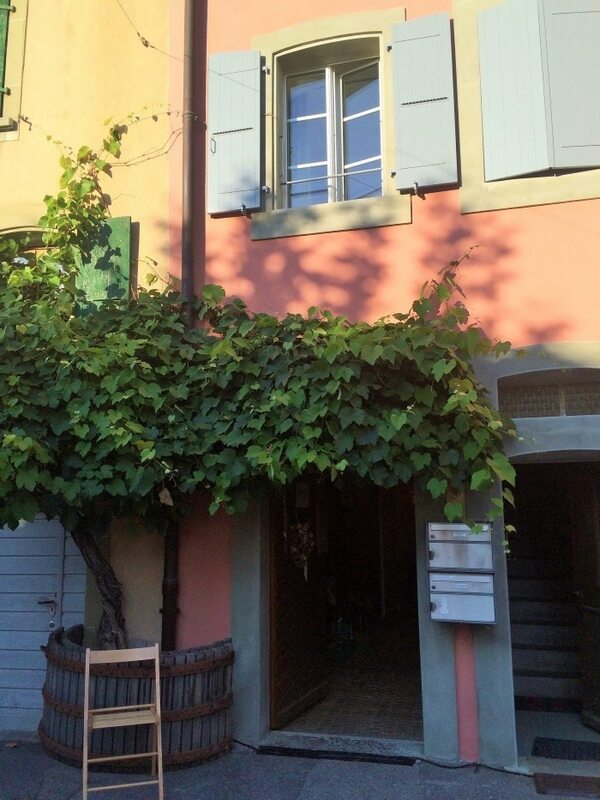 I am a big fan of little alleyways when I am visiting European towns and cities. It seems to always be where real life is happening, and where you get the best views. You might have noticed that a lot of my travel photos feature alleyways. 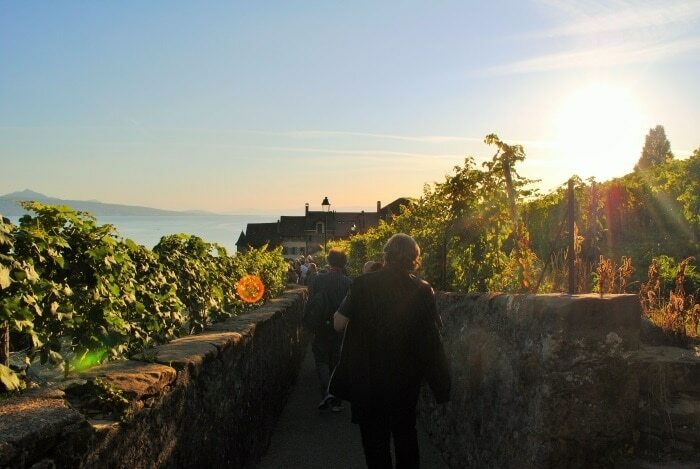 We walked for a few minutes, until there was an opening and we were greeted with the stunning view of Corniche Lavaux Vineyards that flowed down to Lake Geneva. Oooh, dinner at a vineyard we thought? Yes, we were having dinner in a vineyard. Literally in the vineyard. 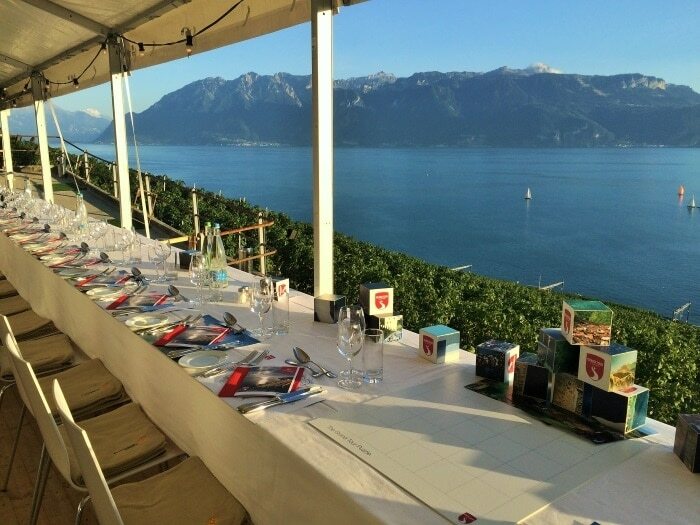 A long marque that could house over a hundred journalists was set up all along the vineyard, so every single one of us had a clear view over Lake Geneva. 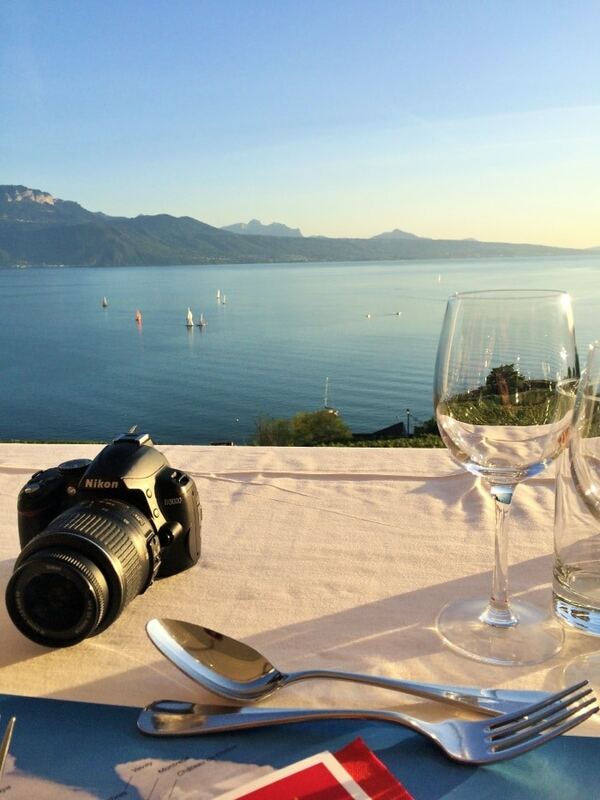 This might just be the best view from dinner in Switzerland. 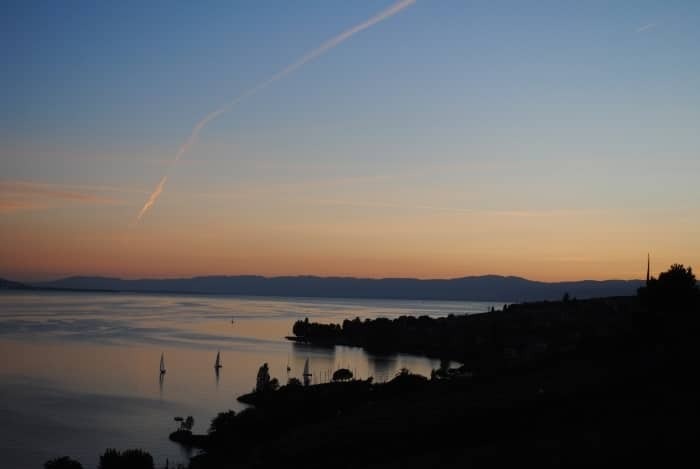 I could have happily sat there for hours watching the sun set and seeing the little boats dotted along the lake. The main course option for the vegetarians wasn’t great, but the starter was amazing. 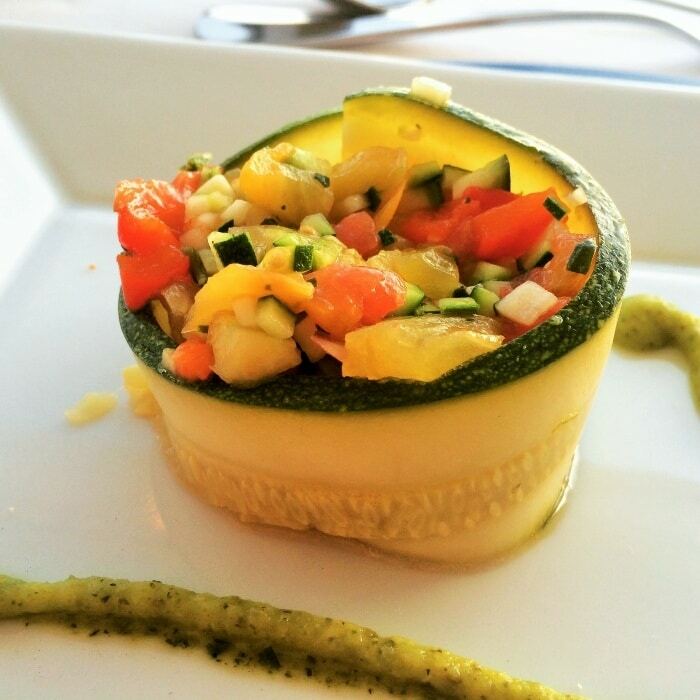 It was a mango salad wrapped in courgette with some pesto. Really light and fresh, and perfect for a summer evening. We sat here late in to the evening, sampling many of the different wines that the vineyard made and most of us wishing that we could do this every night. 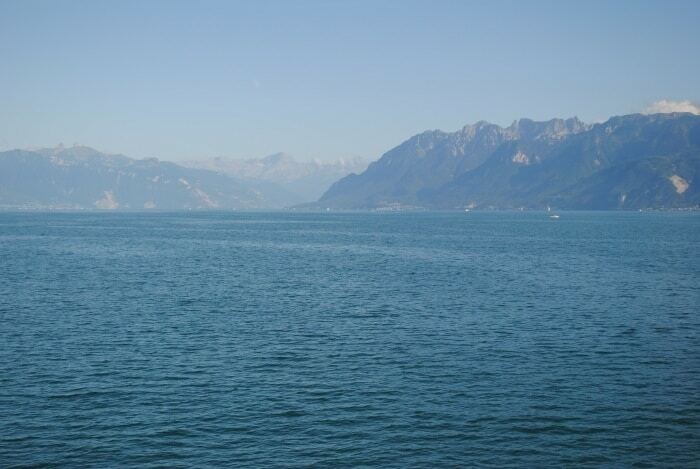 I had been to Lake Geneva before, but not to this part and I wish I could have stayed longer. 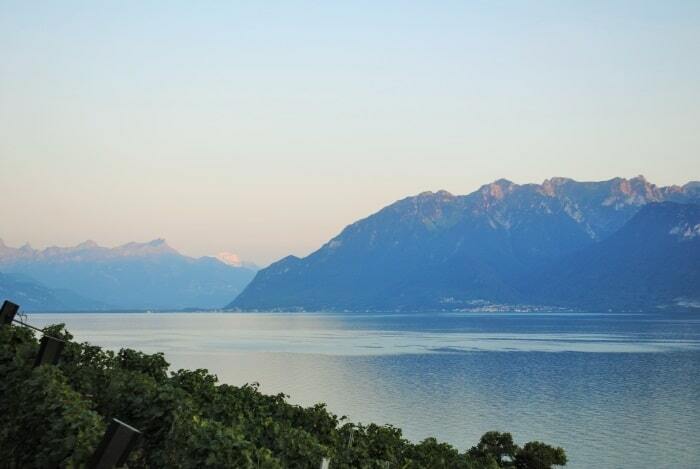 But, the next day we were continuing our grand tour and visiting the Valais region of Switzerland. 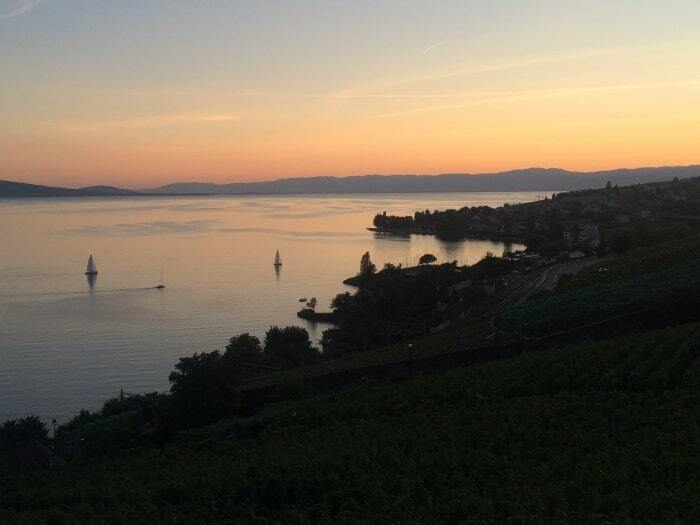 As the sun set, we said goodnight to Lake Geneva. I will be back soon! 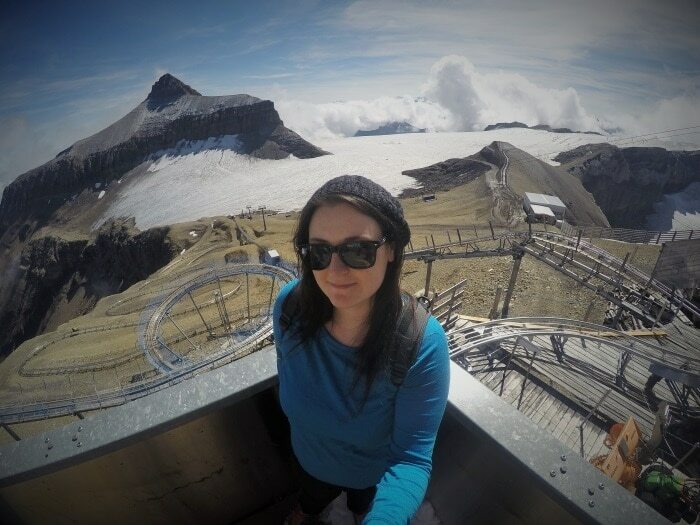 Switzerland is extremely beautiful country.Dannii and Dave, I am very glad you had traveled to all of these beautiful places. They really are breathtaking. I could never get bored of looking at them! Wow, just wow. You describe your trip so well, and your photos are brilliant. 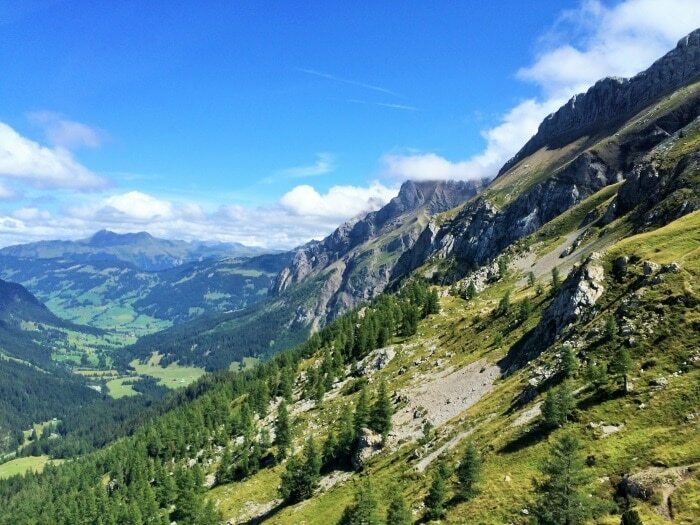 I have just added Switzerland to my must visit list. This looks like such a fantastic trip! So funny story – there’s a ‘Lake Geneva’ town here in Wisconsin, so I did a double take when I read the title. 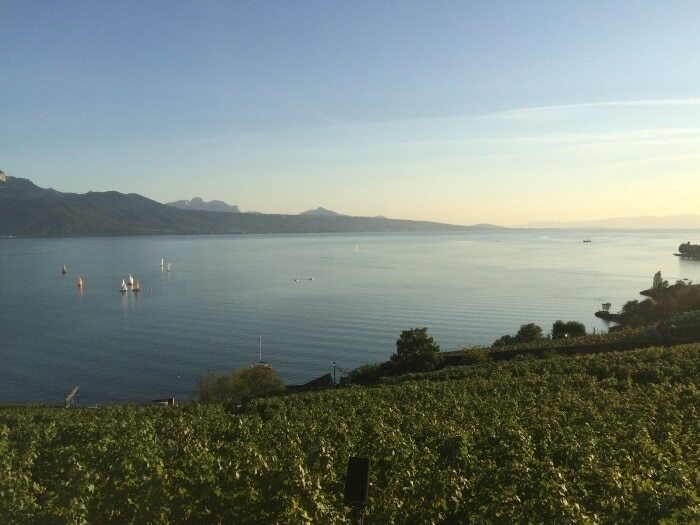 The Lake Geneva in Switzerland is definitely the real deal. 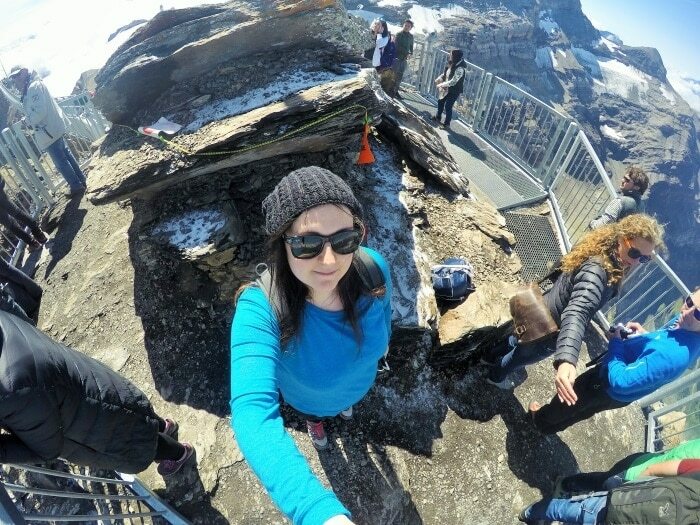 Haha, I wonder if there are a lot of confused tourists there thinking “this doesn’t look like Switzerland”. Lovely trip! 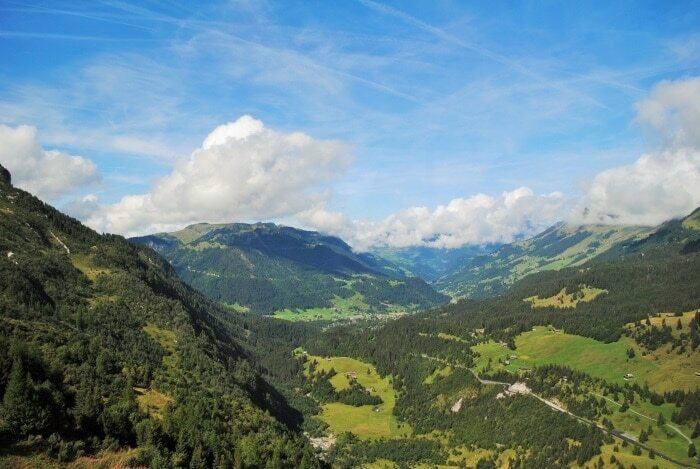 I went to Switzerland on a family holiday as a kid and then on my own (but in a tour group thing) in my gap year. Loved it, especially the natural scenery. And the cheese and chocolate. I’ve not been back in 25+ years but really must. The cheese and chocolate are definitely selling points. 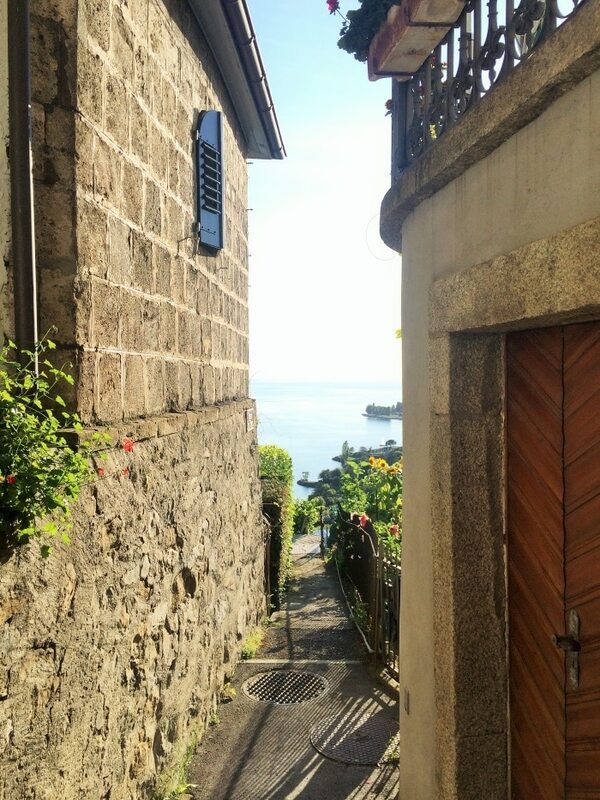 This is good timing as we are off to Switzerland this summer, I am loving the look of the lakes and they beautful mountain walks we can all do. Those views are amazing. I think we sill stock on on food in France though as it isn’t the cheapest of countries from what I remember! You really should, it’s just beautiful! Gosh Danni I don’t even know where to begin what a fantastic opportunity. 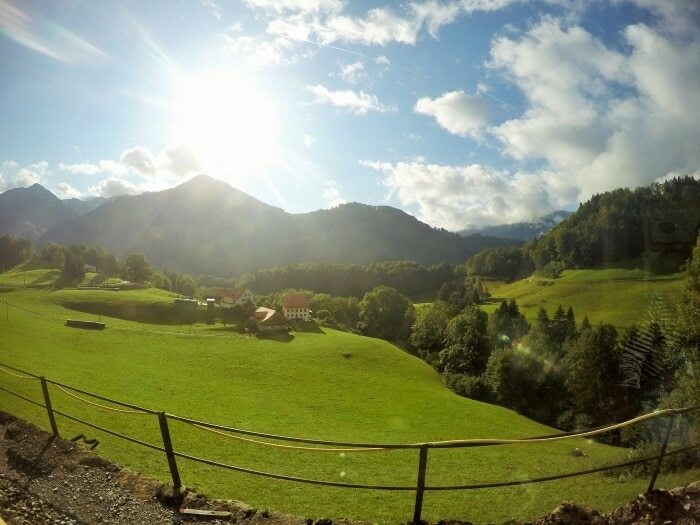 You really sell Switzerland it looks fantastic. 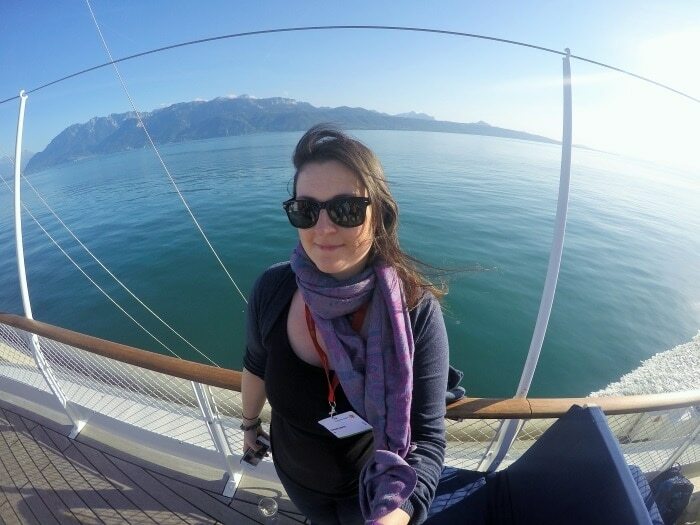 I’ve obviously heard wonderful things about Lake Geneva before (does any one have a bad word to say?) but I didn’t realise how much there was to do! 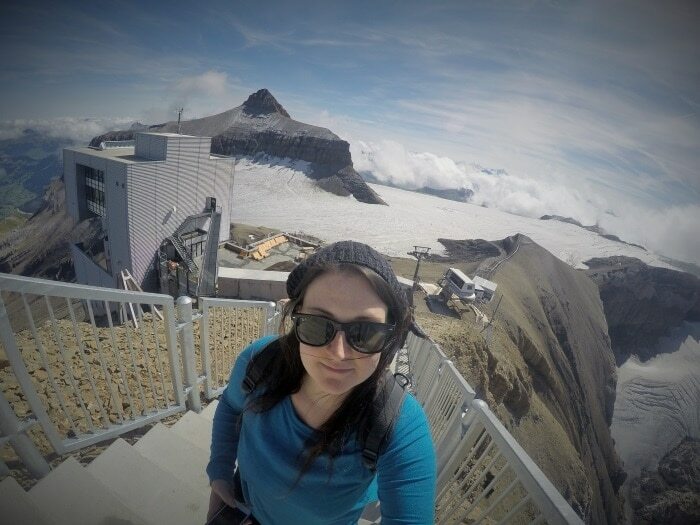 Glacier 300 looks like a once in a lifetime adventure and how gorgeous is Epesses?! I love their traditional dress! 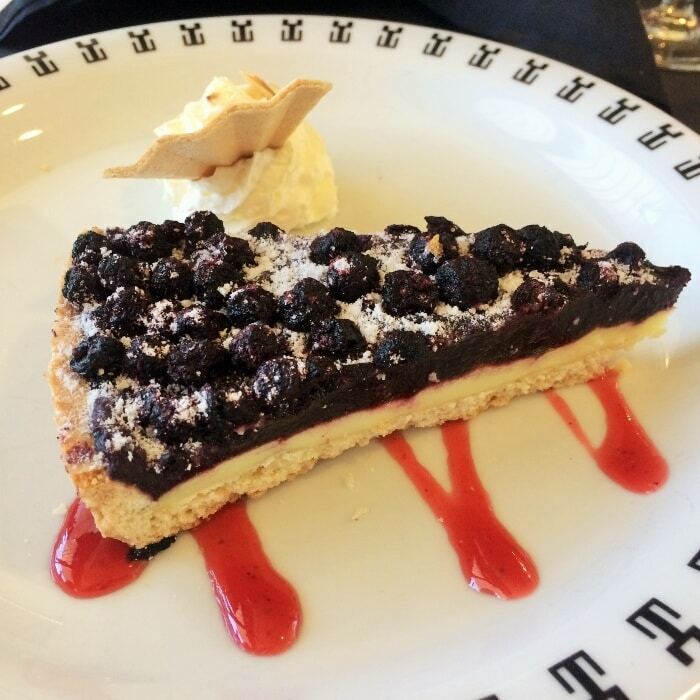 Now lets not even get me started on the food….I think I need to book a trip of my own! 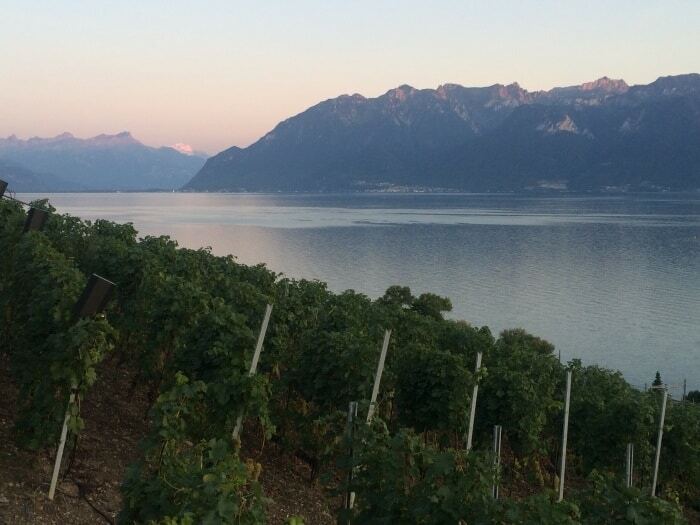 I think people just think about Lake Geneva and don’t realise how much more there is to this beautiful country. What a beautiful country Switzerland is, you have captured it so well here;-) Love the look of that train, if only they were all like that! Certainly beats the English train system, doesn’t it. Wow looks like you had a nice time. Beautiful pictures. It was fantastic. I can’t wait to go back! I love being up the mountains surrounded by fresh air. Definitely put it at the top of your list. What absolutely gorgeous photos! Its a Country I have always wanted to go to. Maybe one day…. I definitely need a holiday after reading this. My son would be over the moon if he got to do that toboggan on holiday. There were a few kids on it and they looked like they were having the best time. 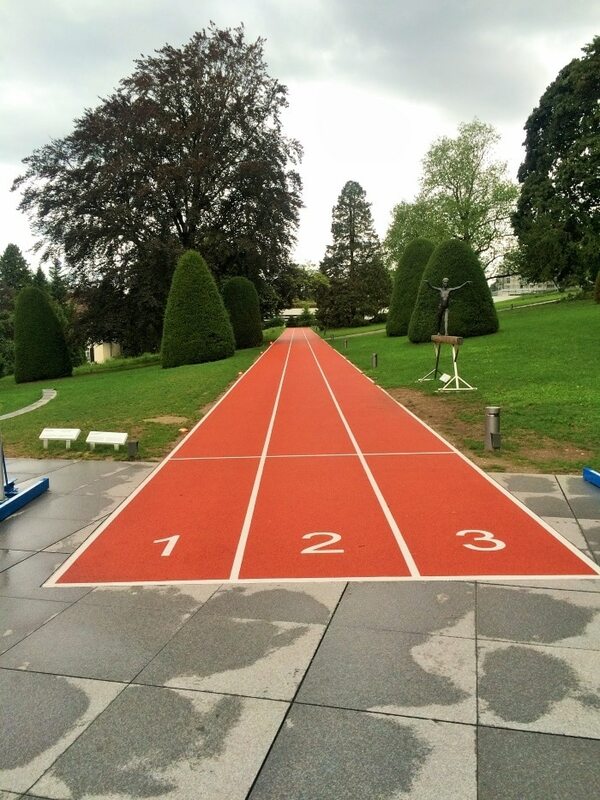 I have to confess I have never thought about Switzerland one way or the other. However, I didn’t realise how much it had to offer. 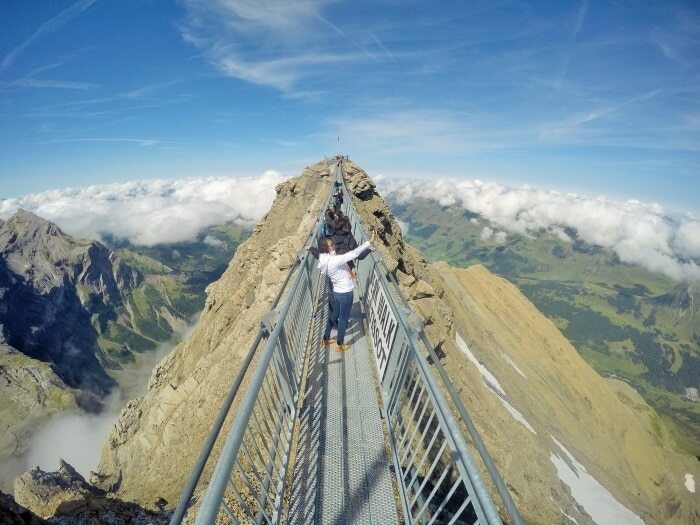 That Peak Walk alone looks amazing and worth the visit! There is so much more to it than people realise. That’s what is so great about the Grand Tour – it shows you everything. Beautiful pictures. 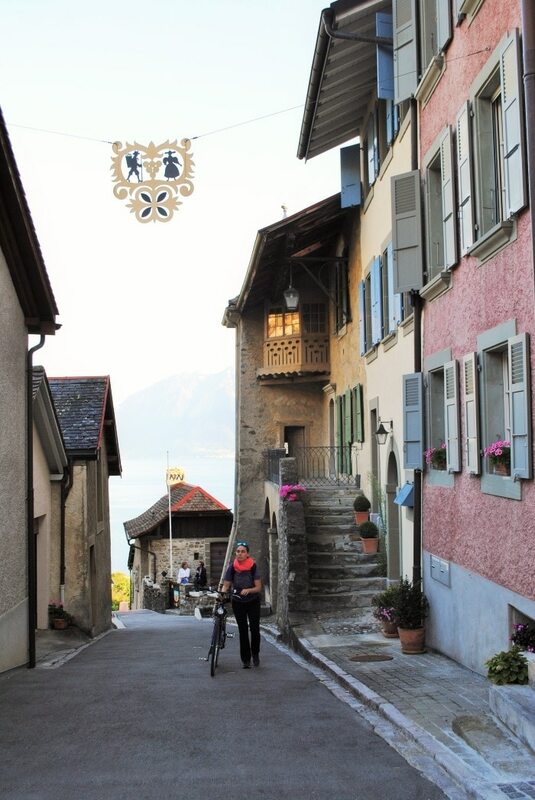 Switzerland is amazing- years ago we bought a rail pass and travelled around there, and then to Italy- and the contrast was crazy between how clean and well kept Switzerland is, and how shabby and covered in graffiti Italy is! 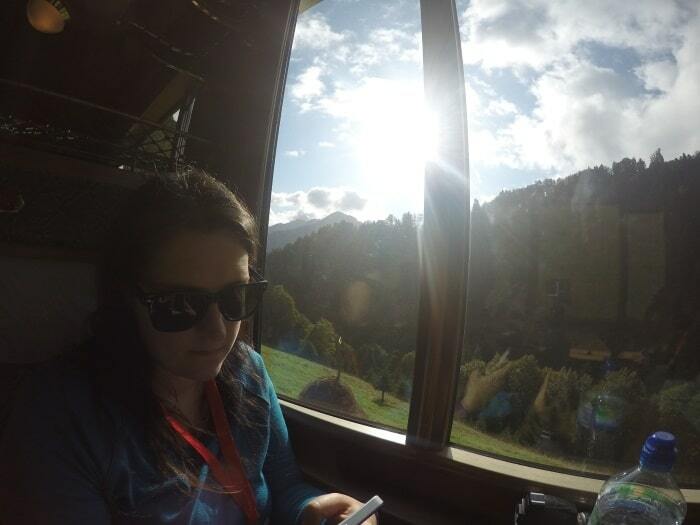 I loved the views from the trains-seeing little clusters of homes and wondering where the roads are! The train system is incredible, isn’t it. I did a couple of train journeys on this trip and I was always impressed. What an exciting and adventurous trip .. thanks for sharing all the news and pics.. loved them. 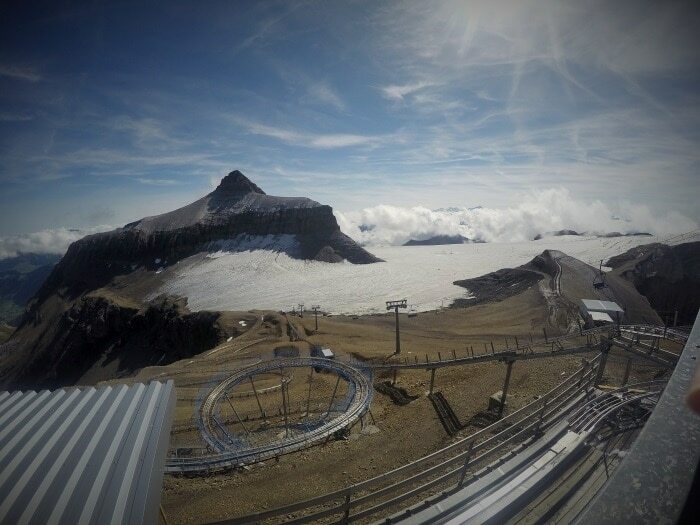 It has been ages since I visited this country..
You should definitely go back, and have a visit to Glacier 3000.